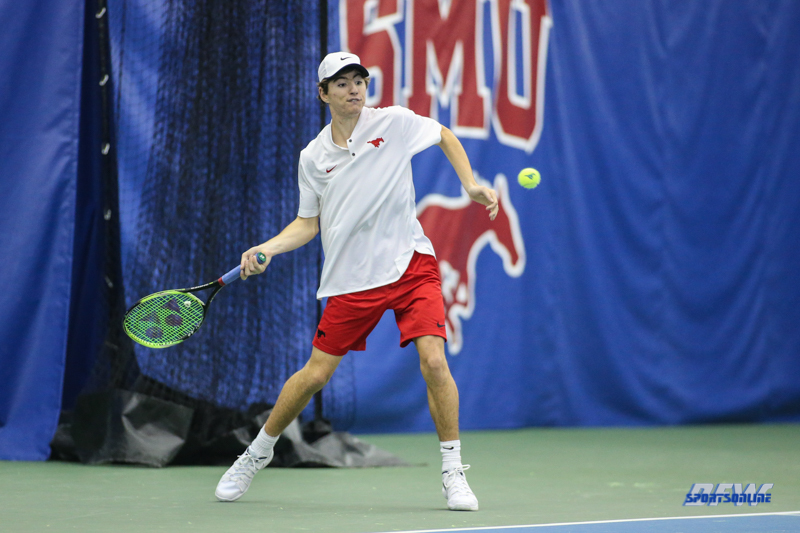 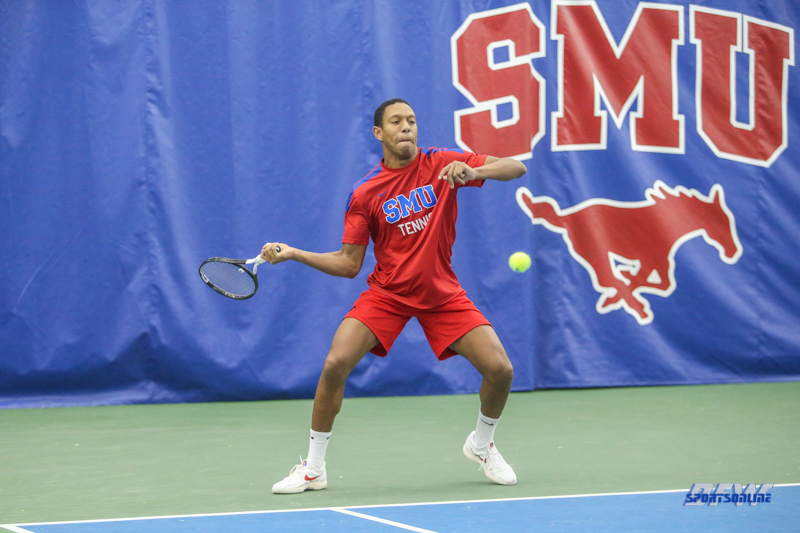 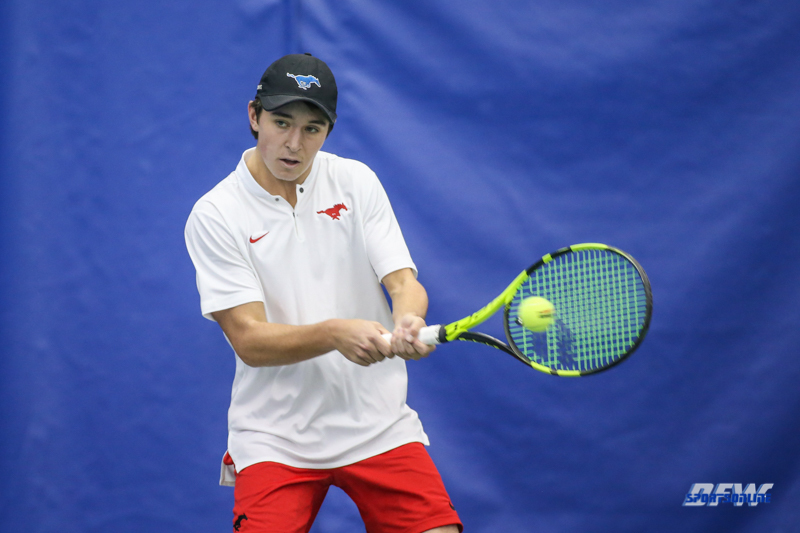 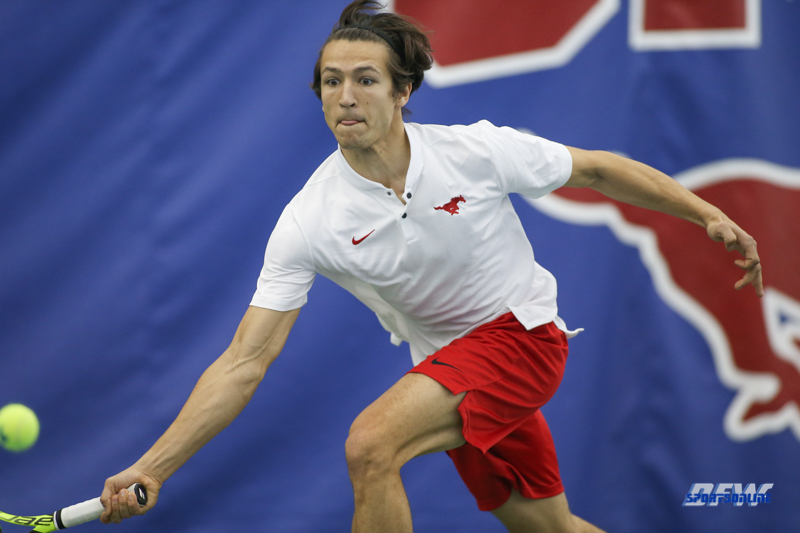 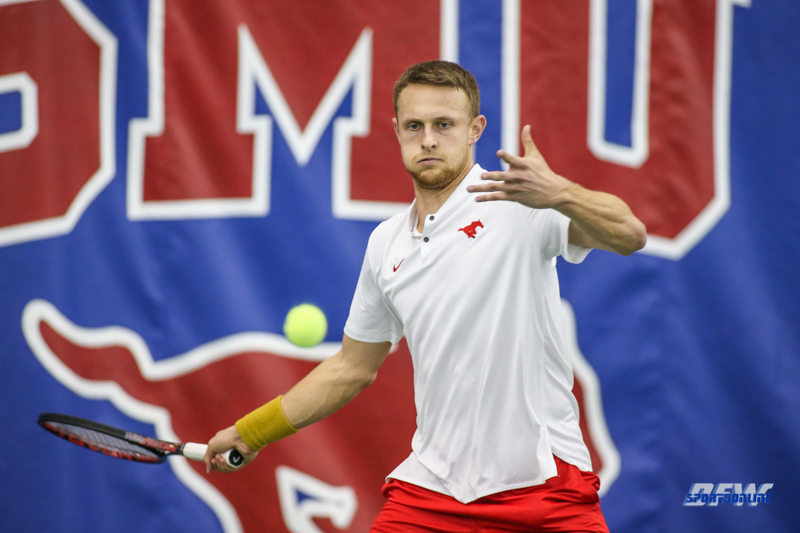 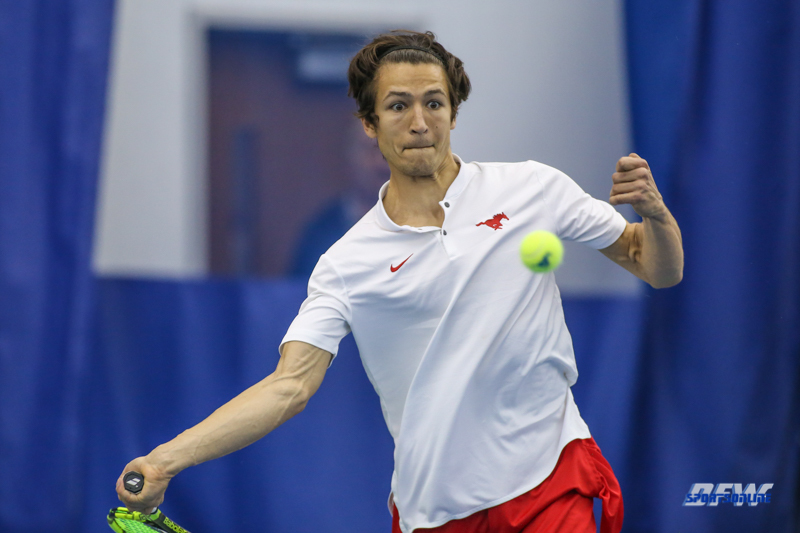 DALLAS (SMU) – The Mustangs completed a doubleheader sweep on Sunday with a 7-0 win over Arkansas-Pine Bluff followed by a 6-1 win against Incarnate Word. 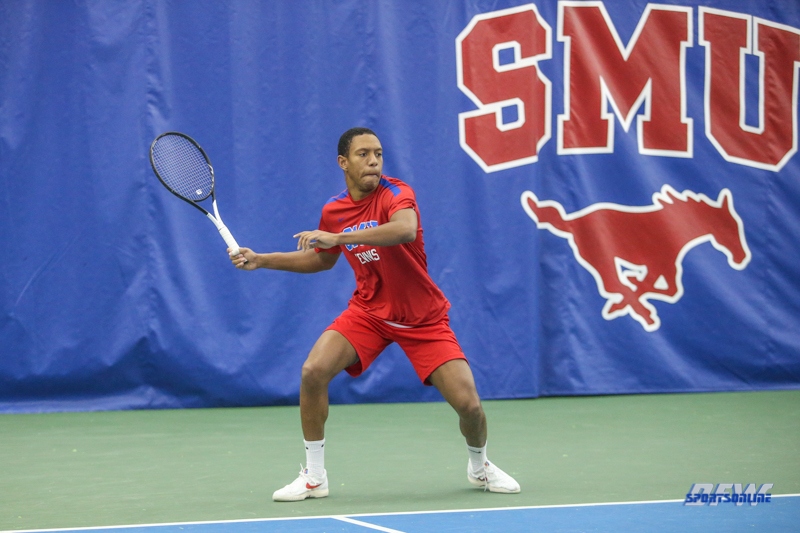 In the 9 a.m. session against the Golden Lions of Arkansas-Pine Bluff, the Mustangs had their most dominant performance of the season in the clean sweep. 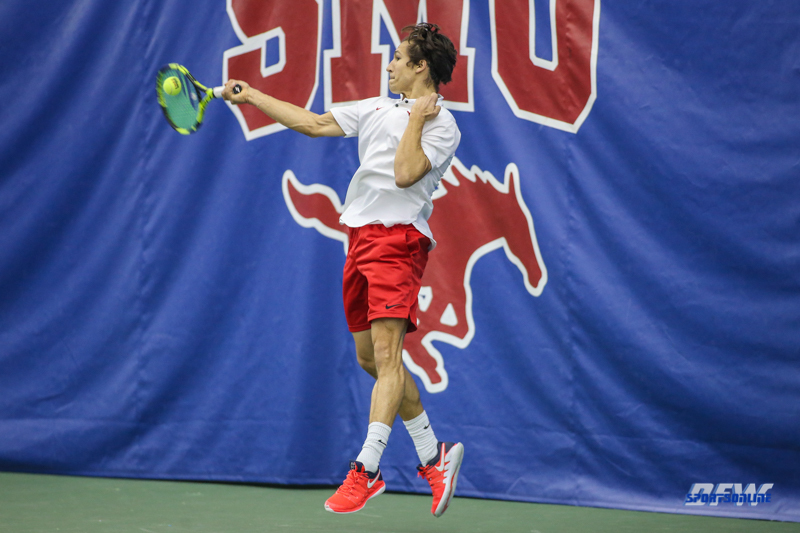 SMU did not drop a set along the way and won 72 of the 87 games. 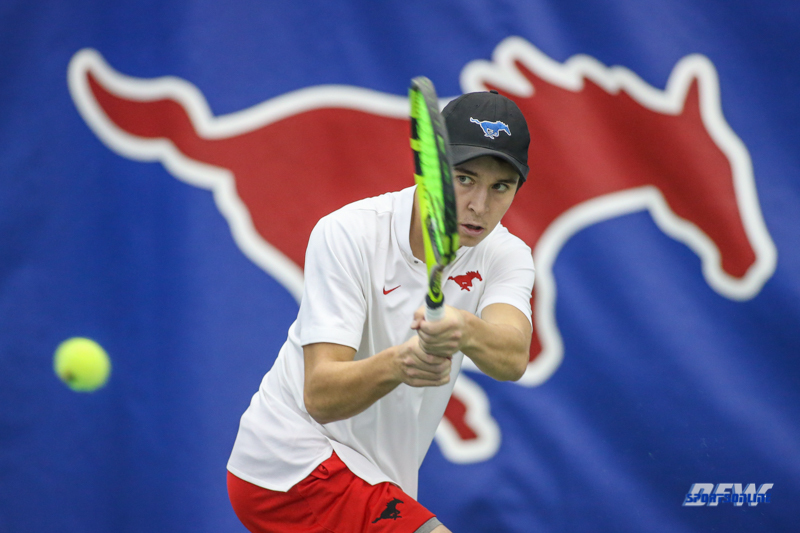 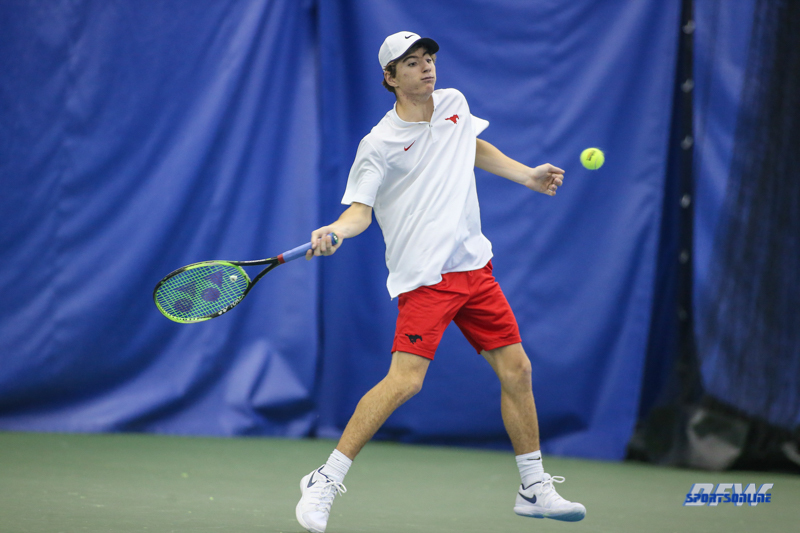 A pair of Mustang freshman had especially impressive performances as Eddie Ross won with a perfect, 6-0, 6-0 and Jack Kite cruised to a 6-1, 6-0 victory. 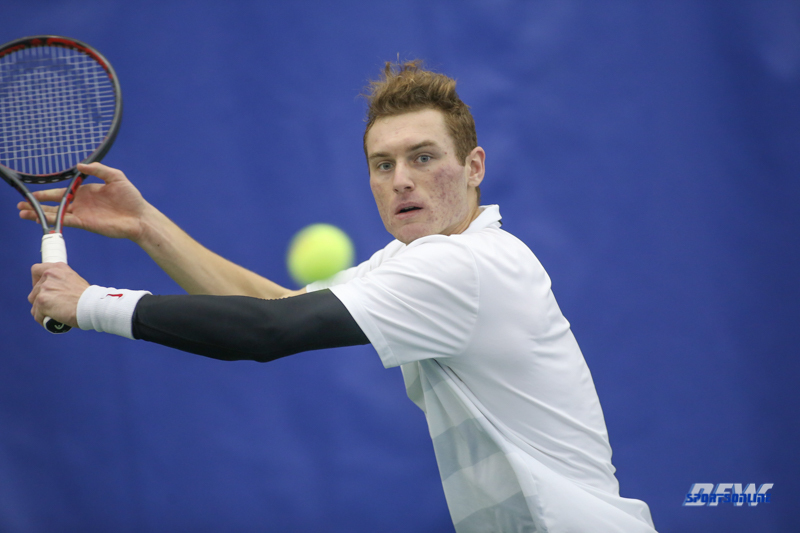 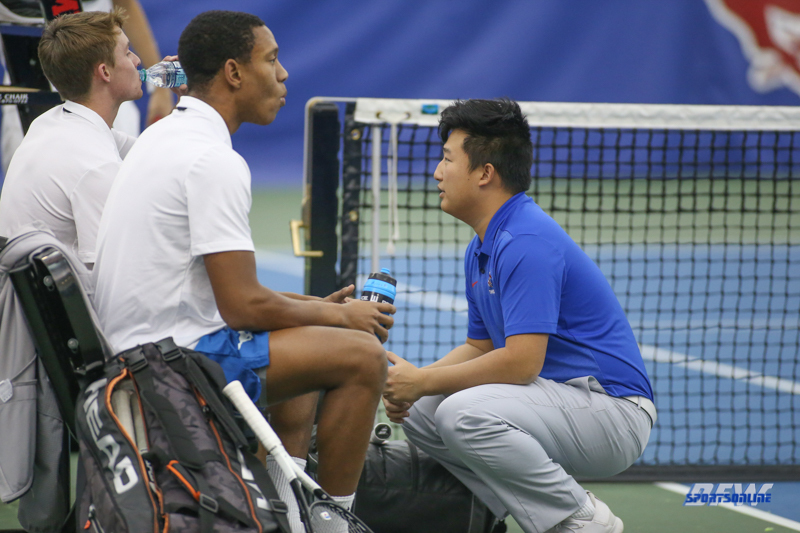 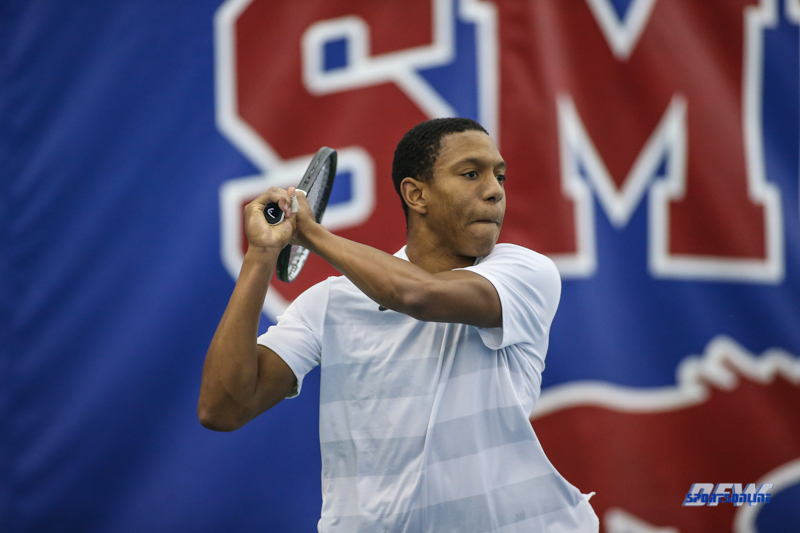 Rory Samuels, Roberto Rosales and Jan-Simon Vrbsky all rolled to straight set wins. 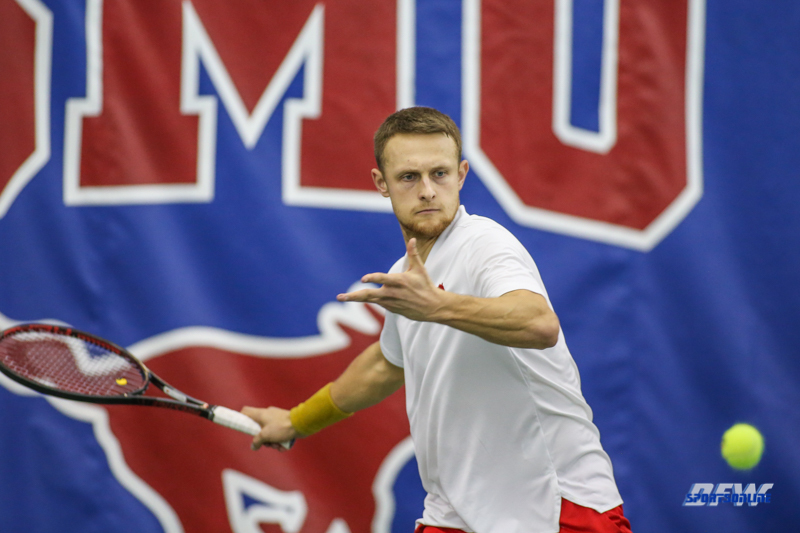 The Golden Lions were limited to five players giving the Mustangs the point on court six. 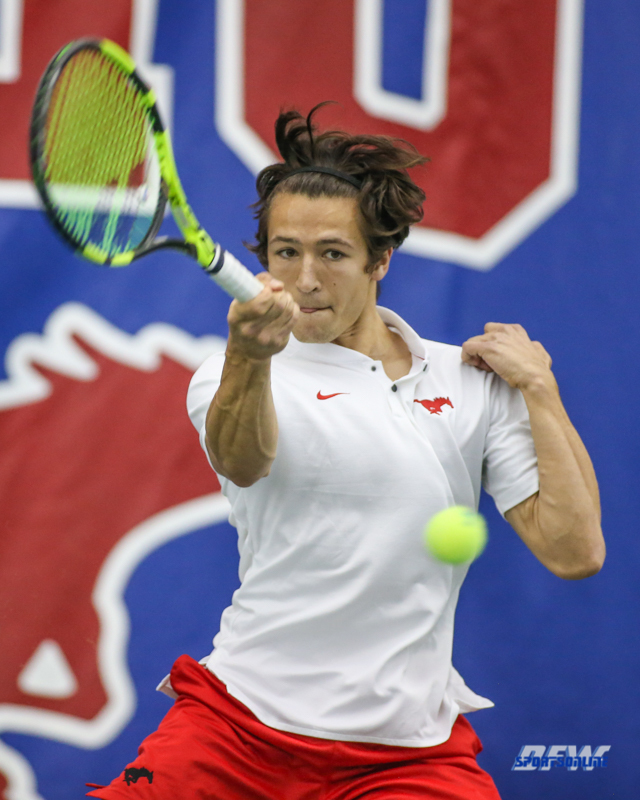 In the noon matchup with Incarnate Word, the Mustangs were locked in a tight battle for the doubles point. 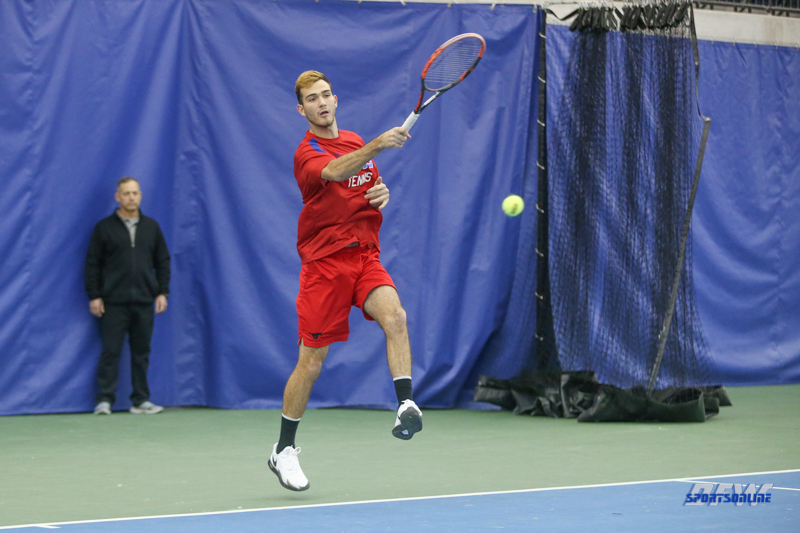 Vrbsky and Tomas Vaise took their court, 6-4 while Carles Sarrio and Rosales dropped their match. 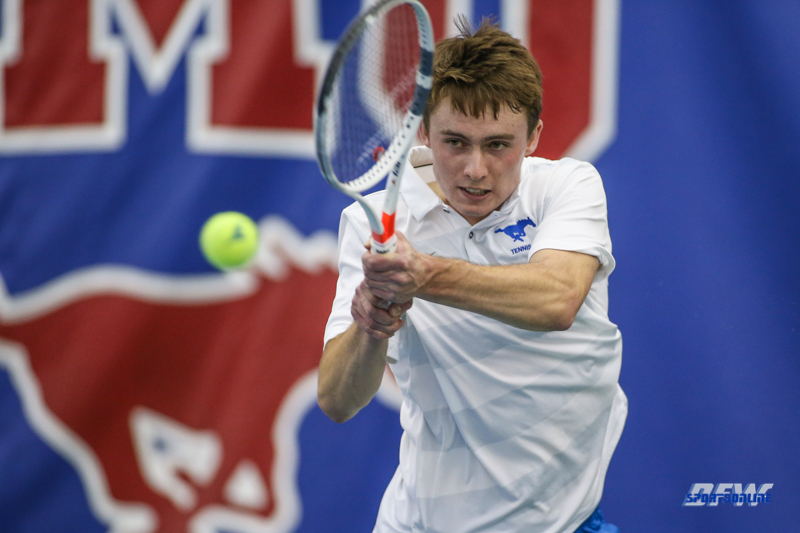 On the decisive court, Pennywell and Fagan pulled the Mustangs through by a 6-4 score. 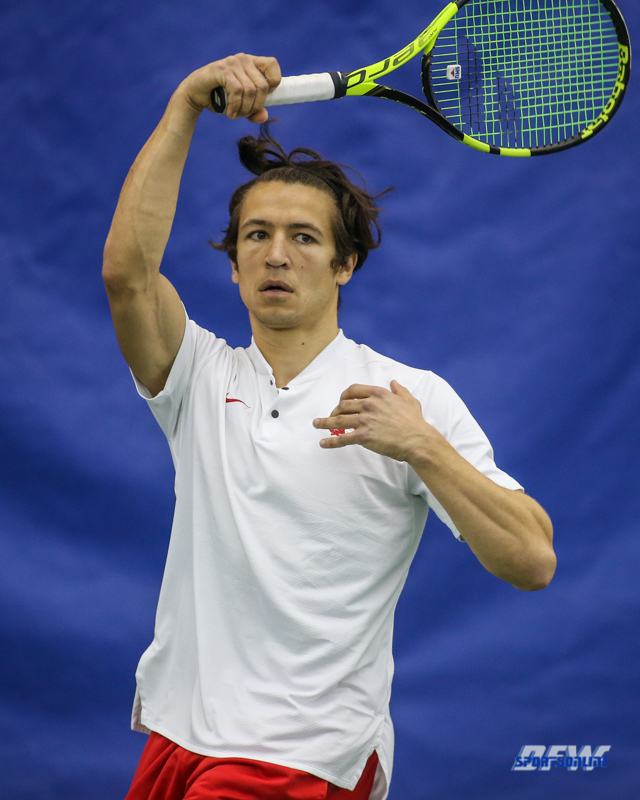 In singles, No. 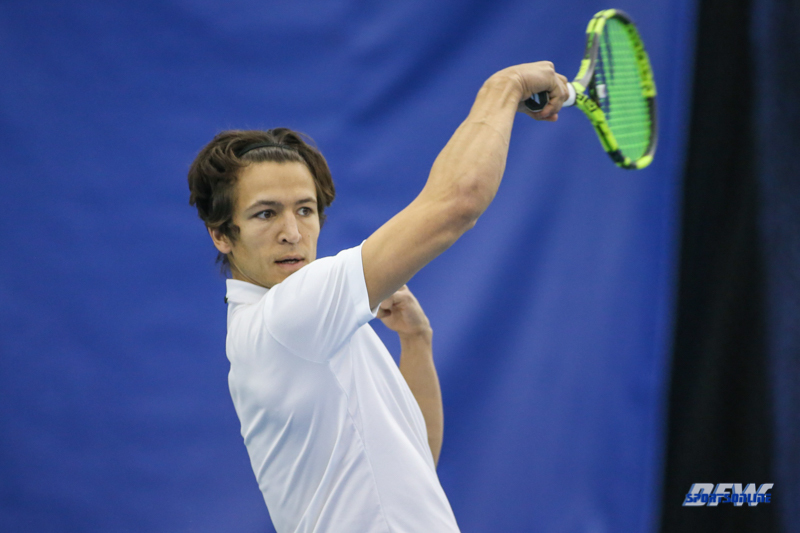 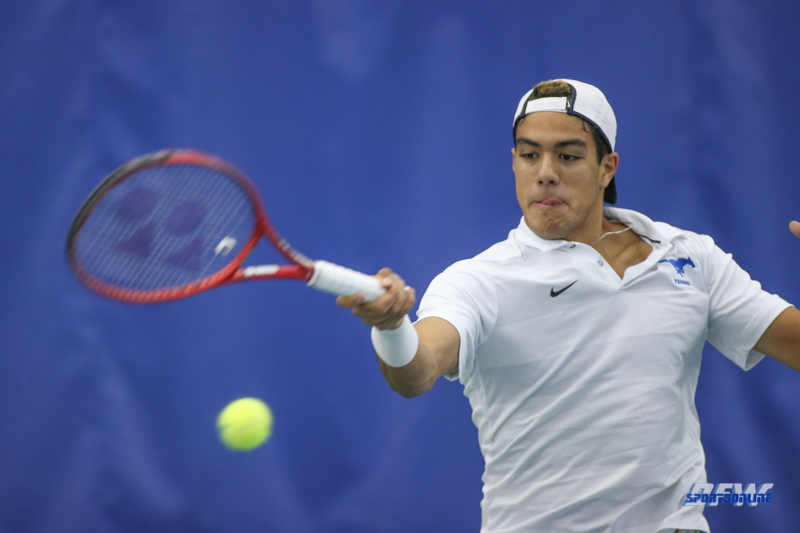 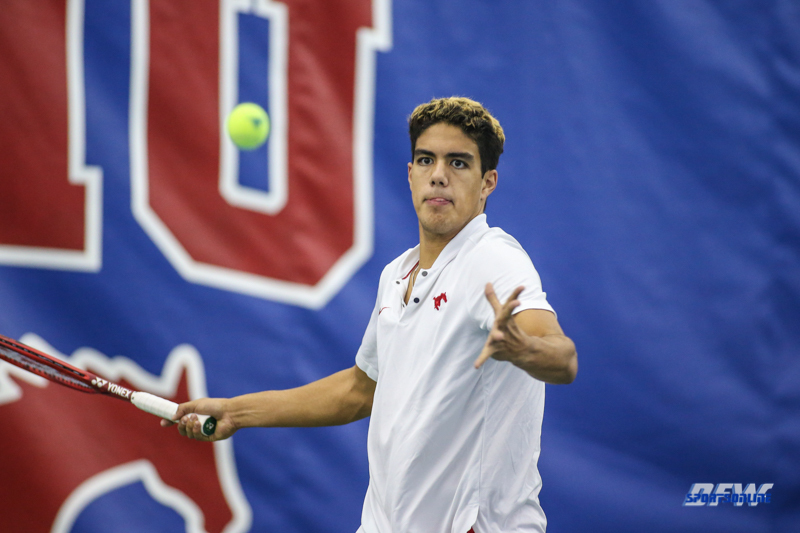 48 Carles Sarrio improved to 6-1 in the dual season as he rolled to a speedy 6-3, 6-0 victory. 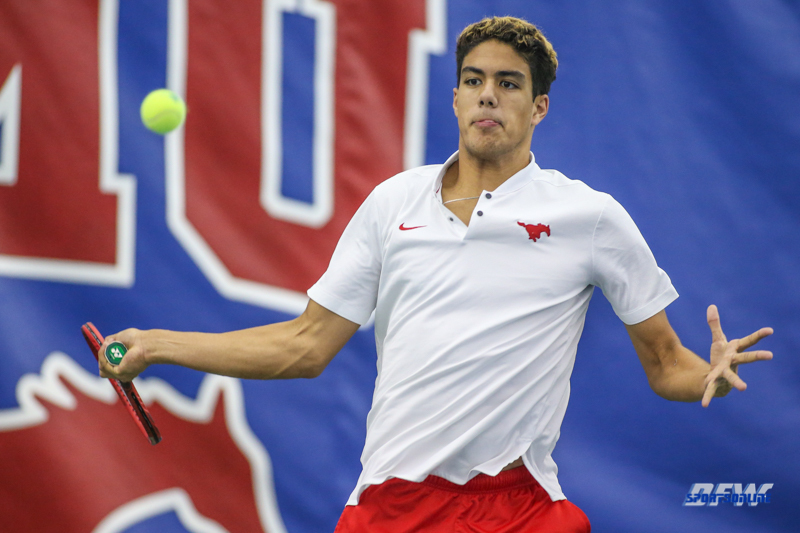 Vaise made quick work of his opponent on court four, with a clinical 6-3, 6-2 victory. 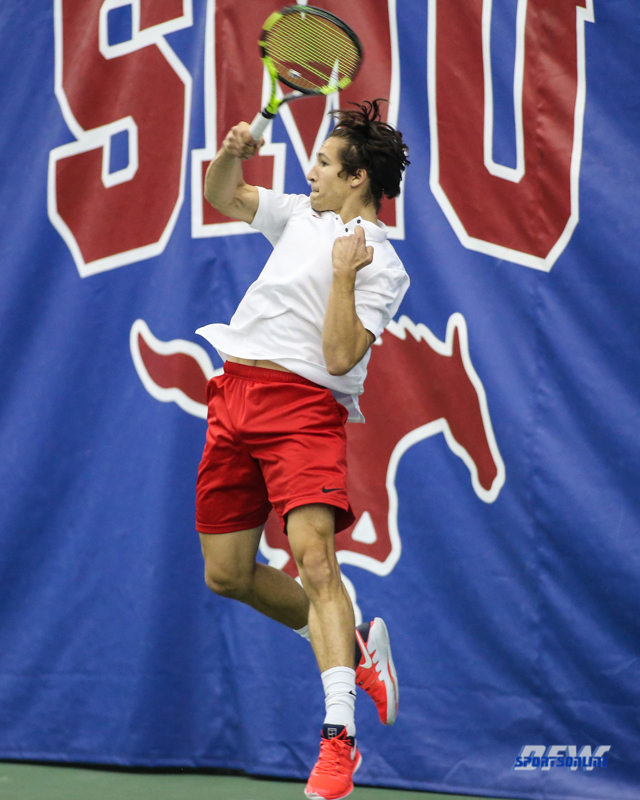 Vrbsky was a 6-4, 6-1 winner on court three, clinching the win for SMU over the reigning Southland Conference champs. 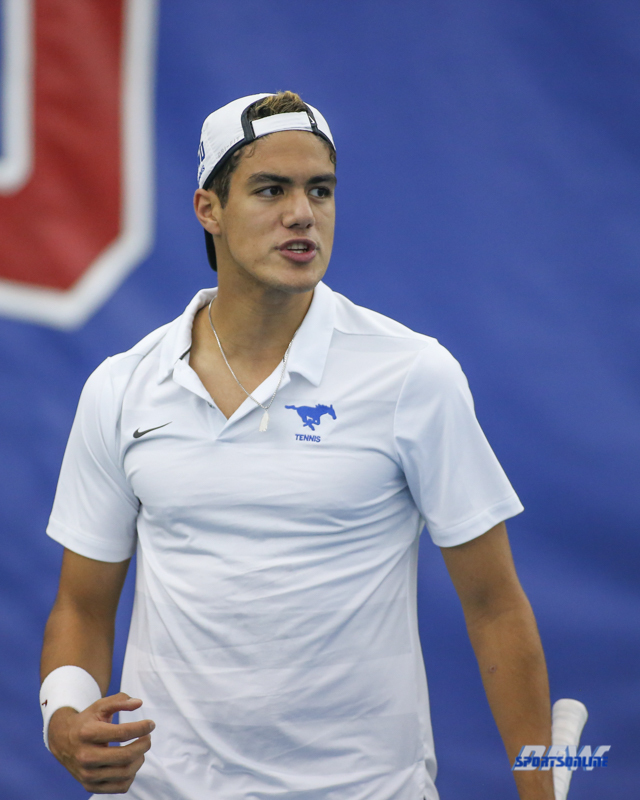 Rosales would take court two, 6-4, 6-3. 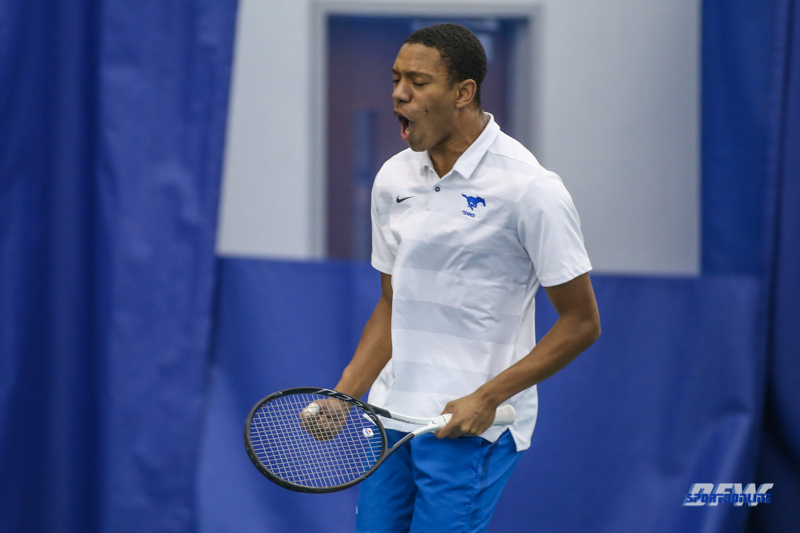 After dropping set one, Michael Smith rallied back to take set two and a third-set breaker. 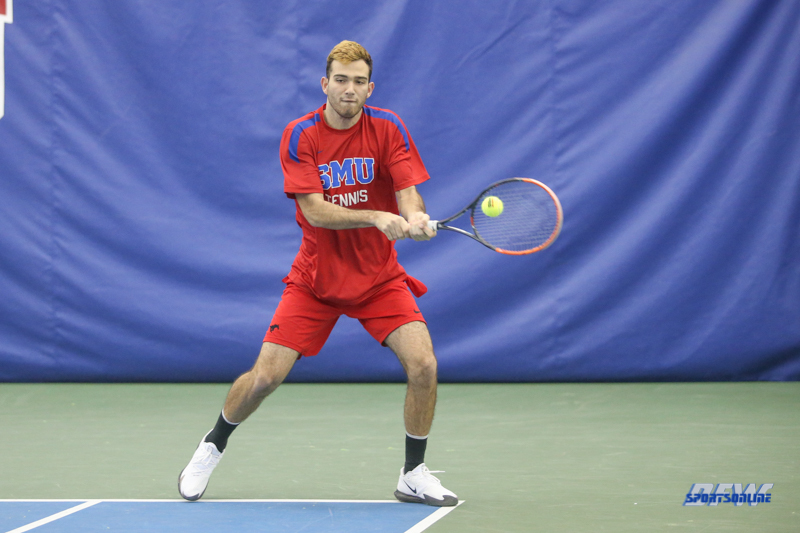 Andrew Buhelos lost on court six in a tight 7-5, 7-6 match. 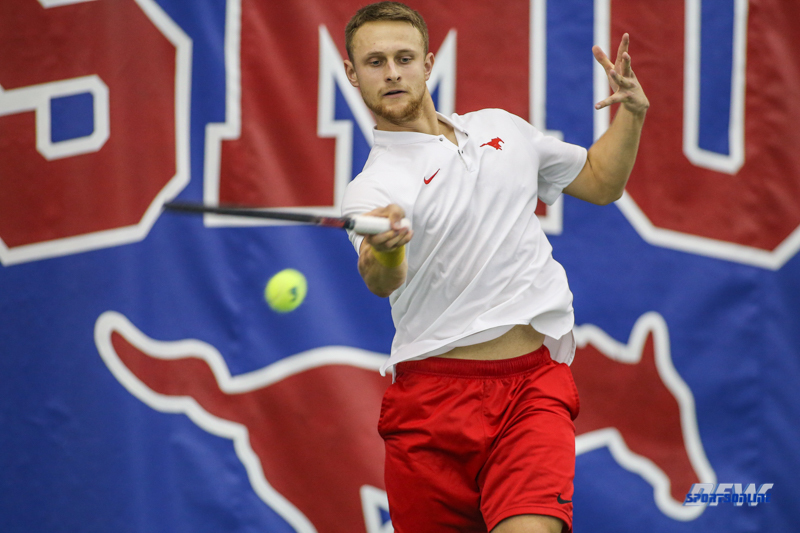 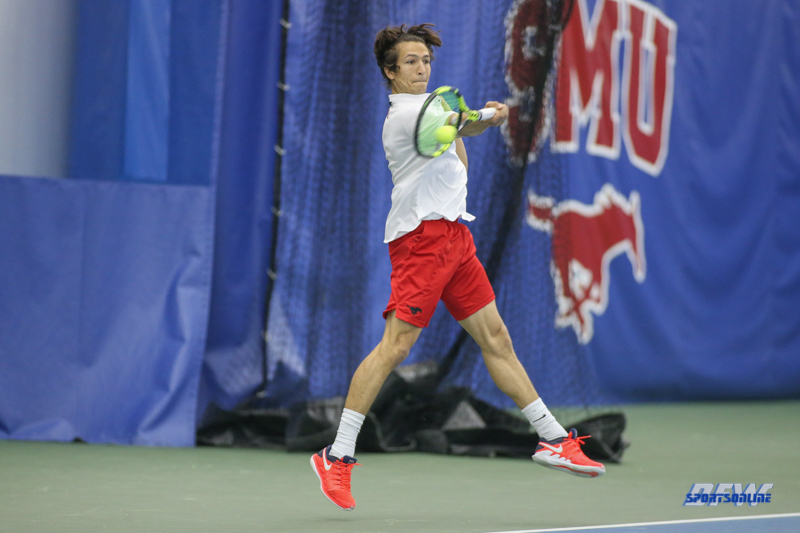 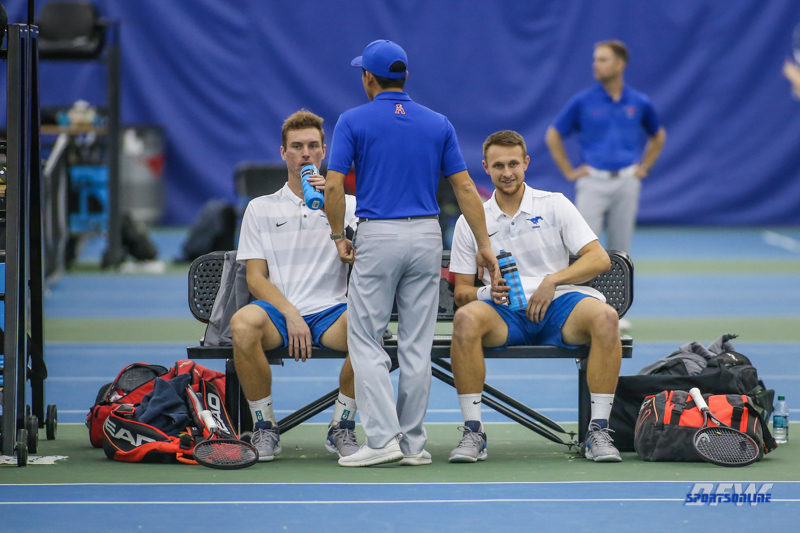 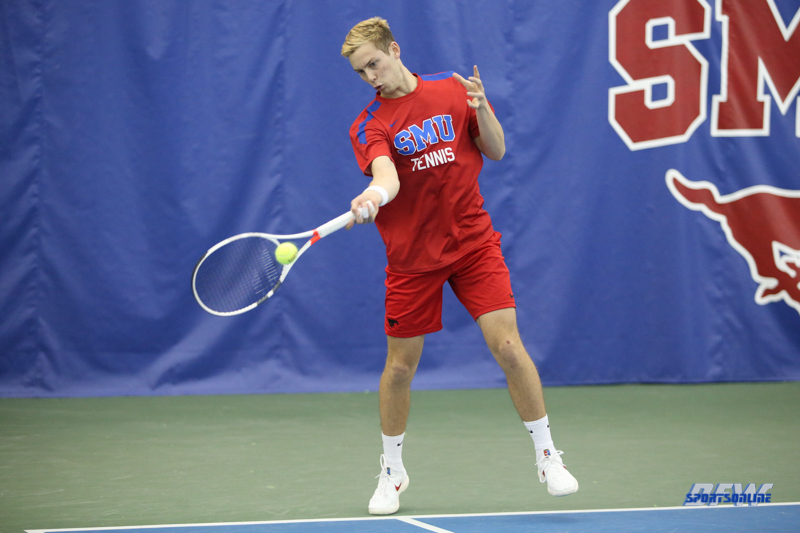 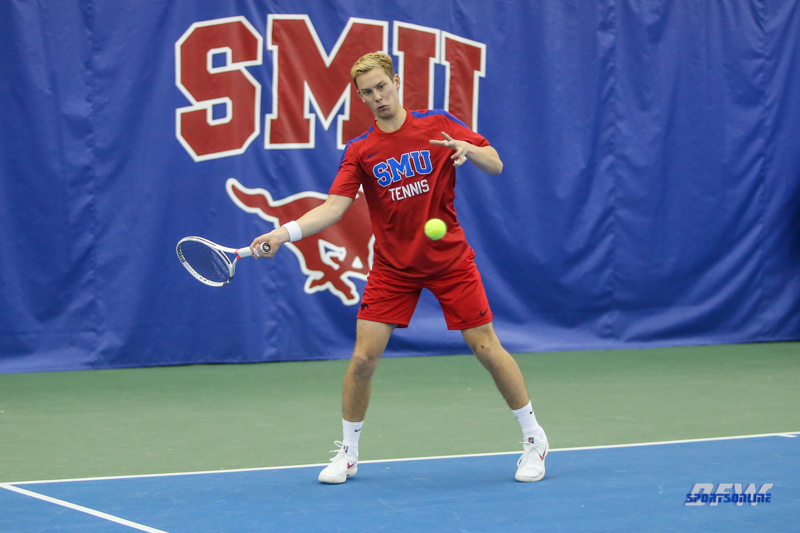 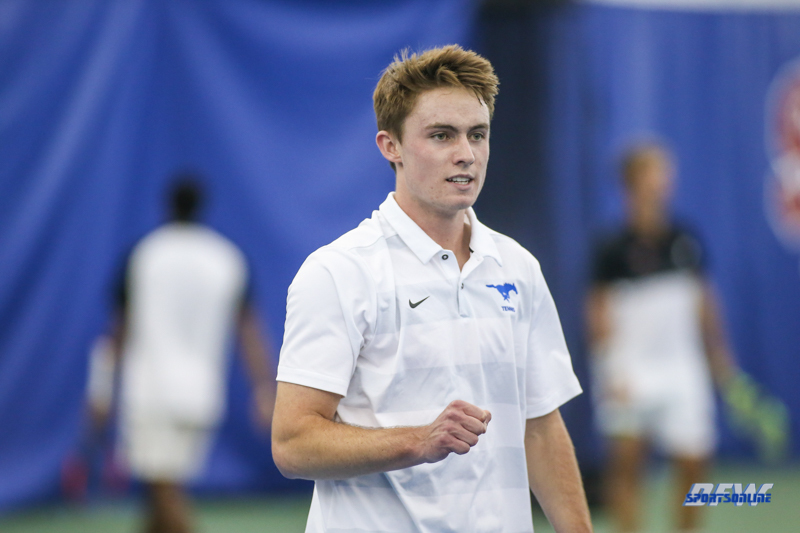 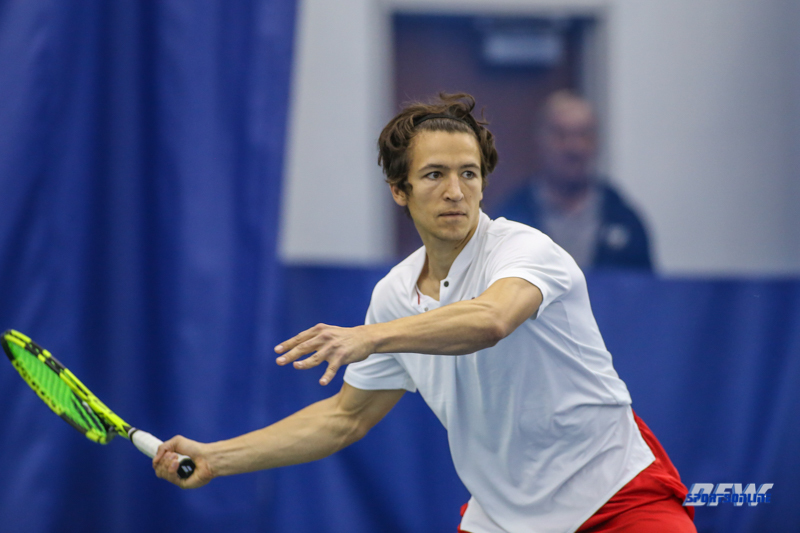 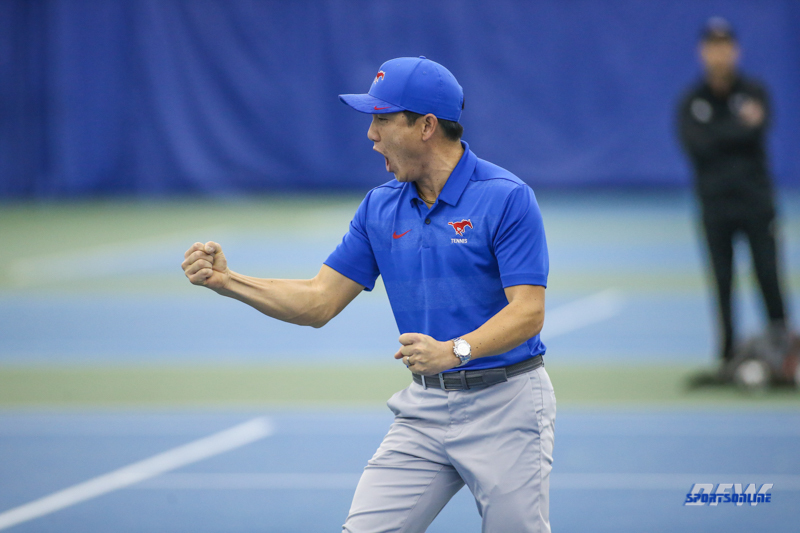 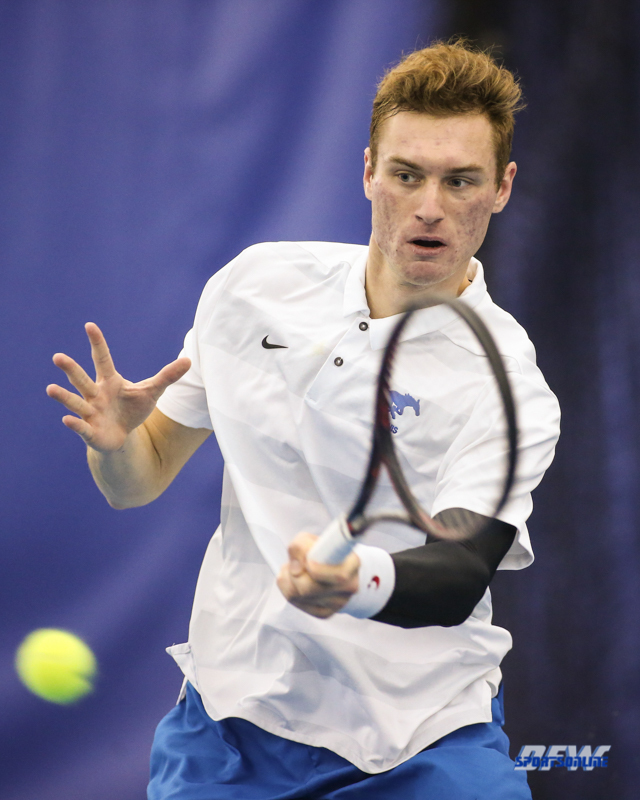 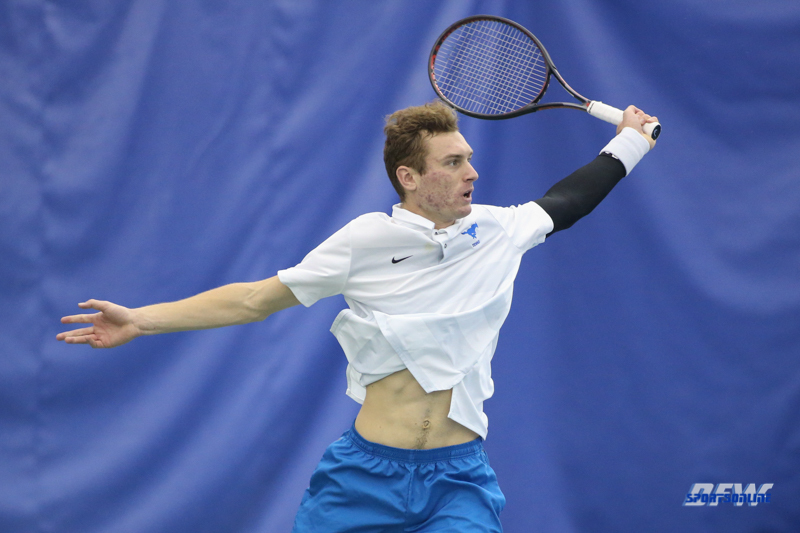 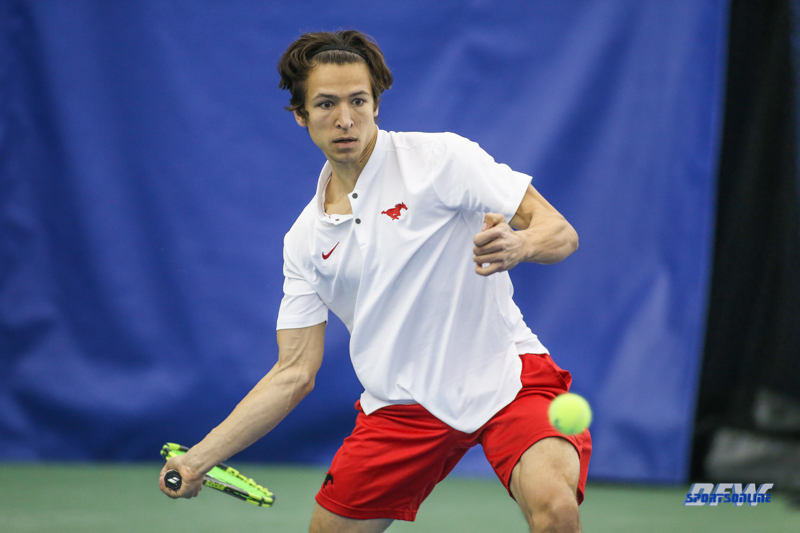 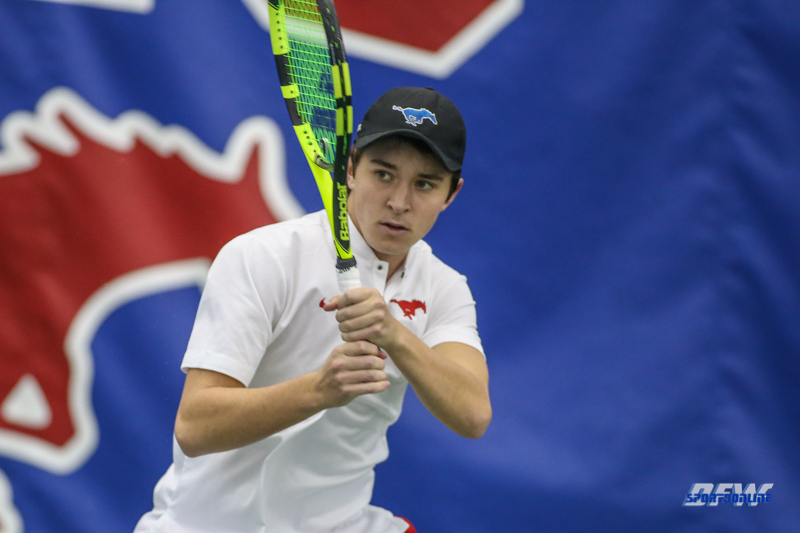 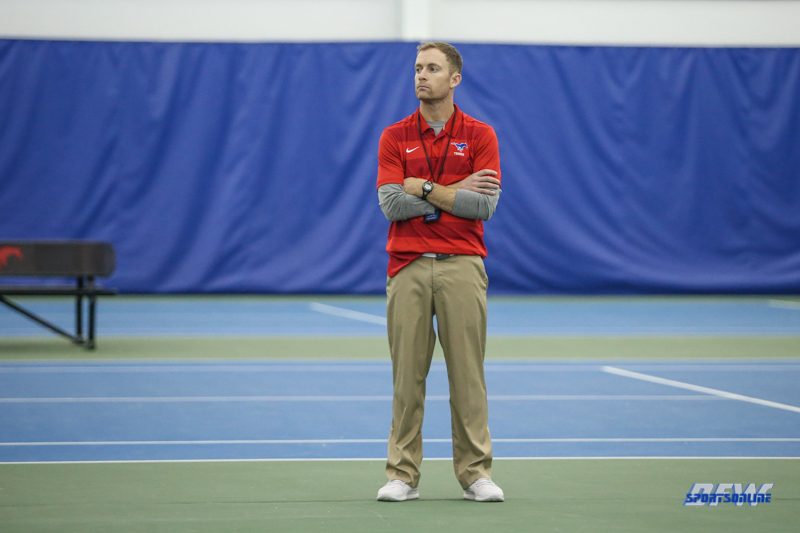 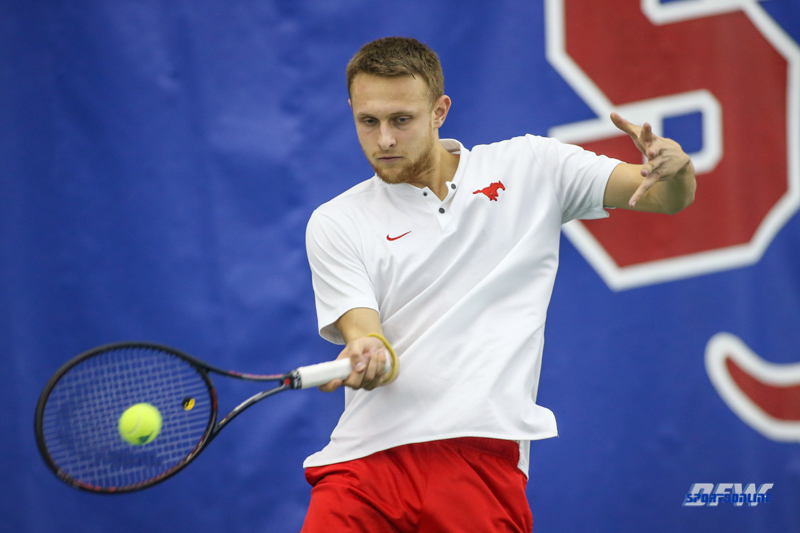 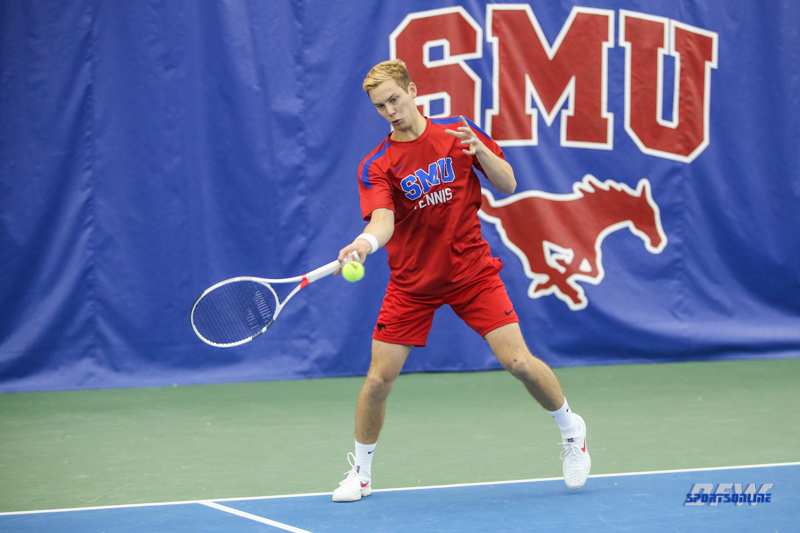 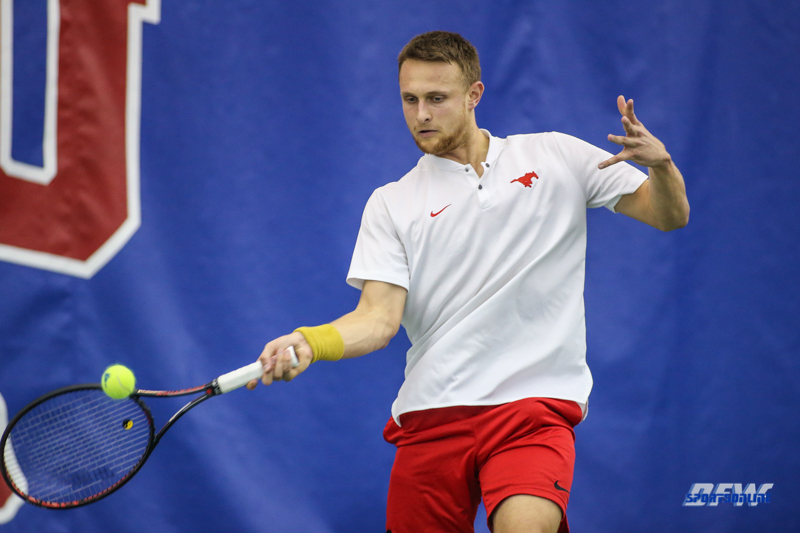 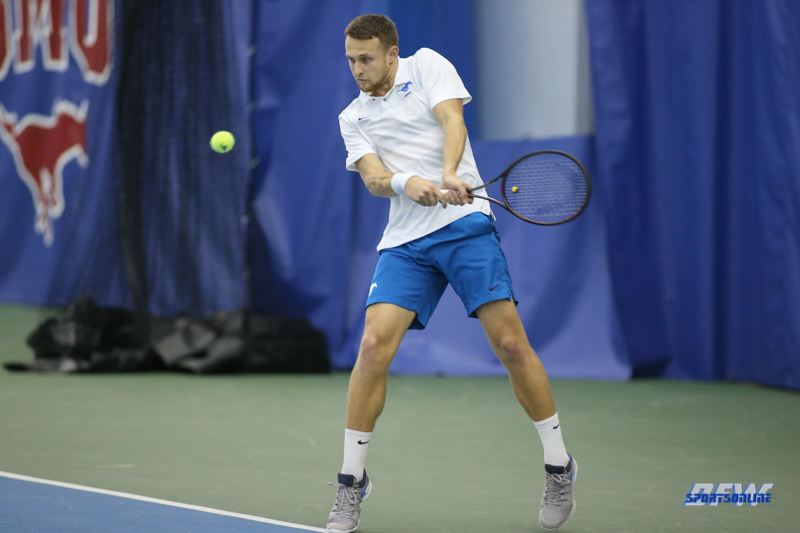 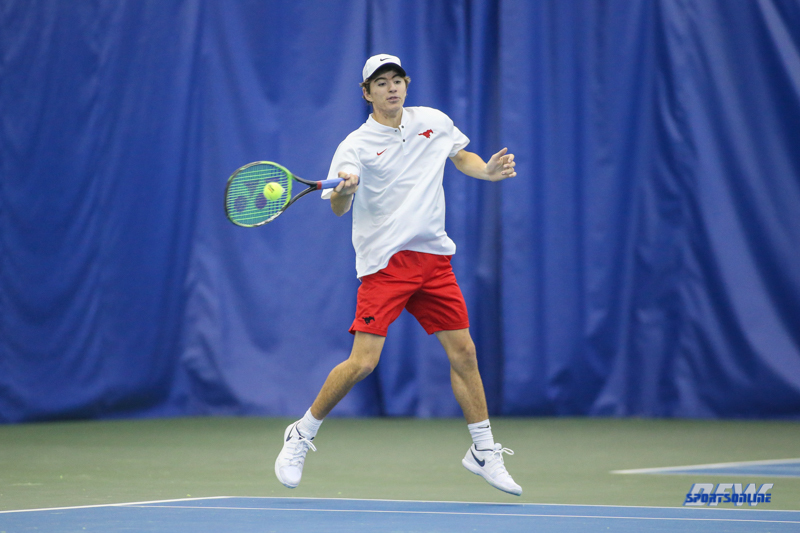 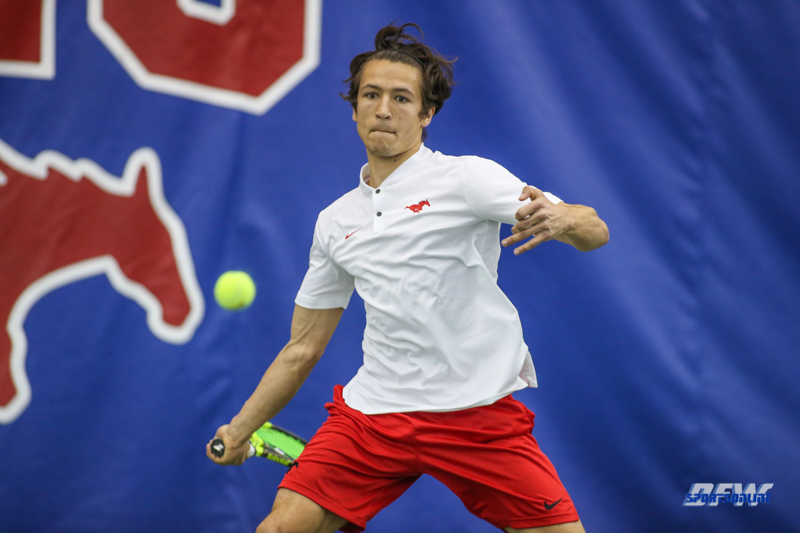 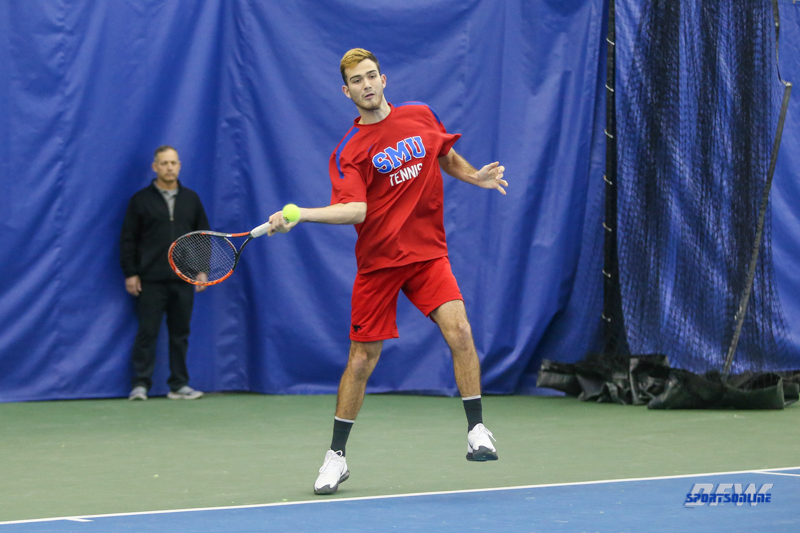 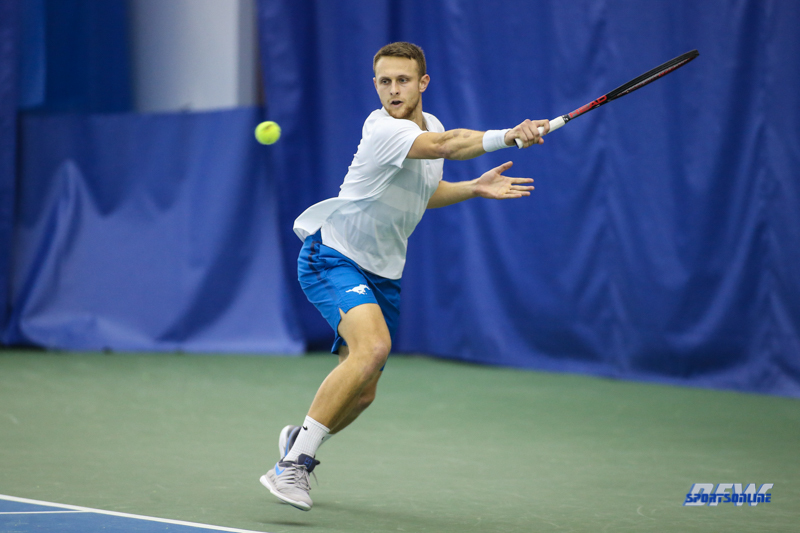 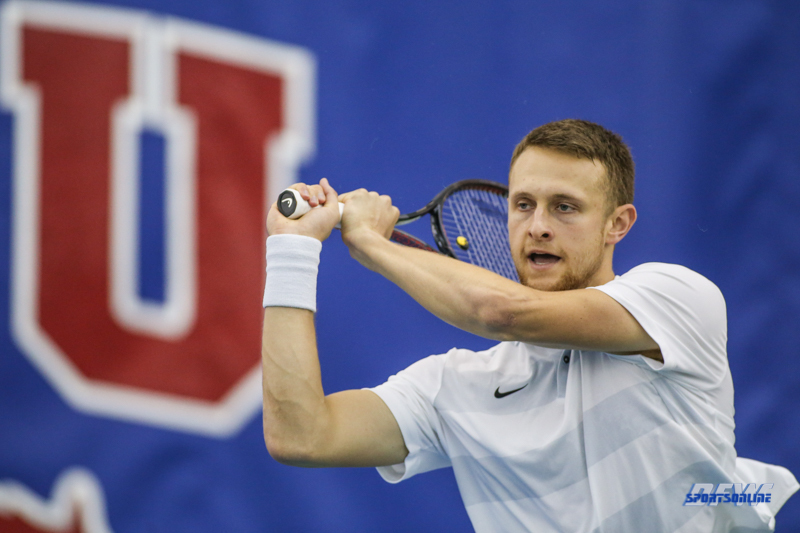 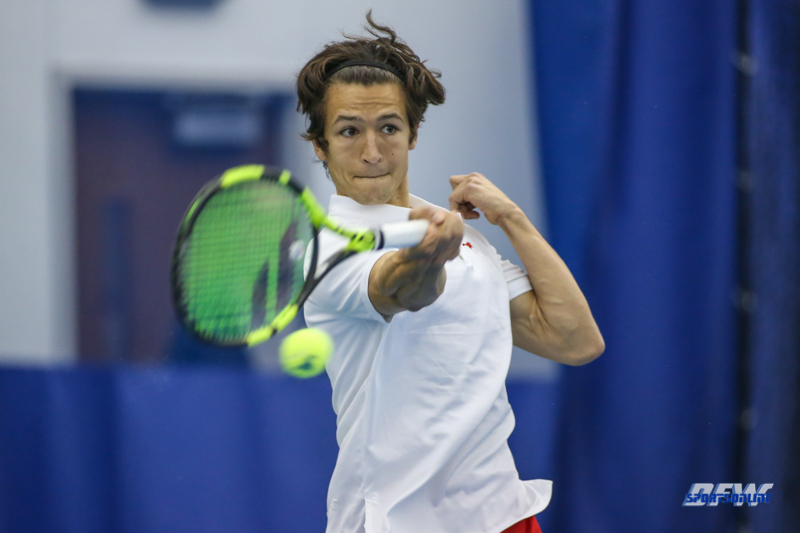 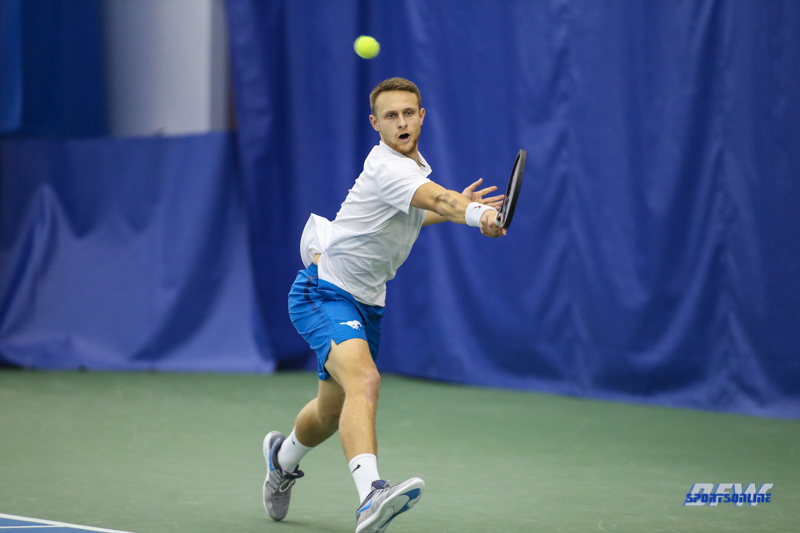 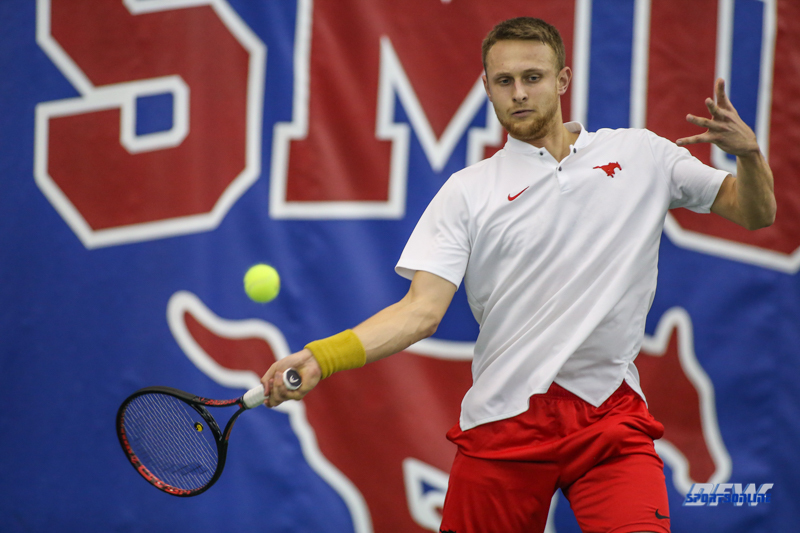 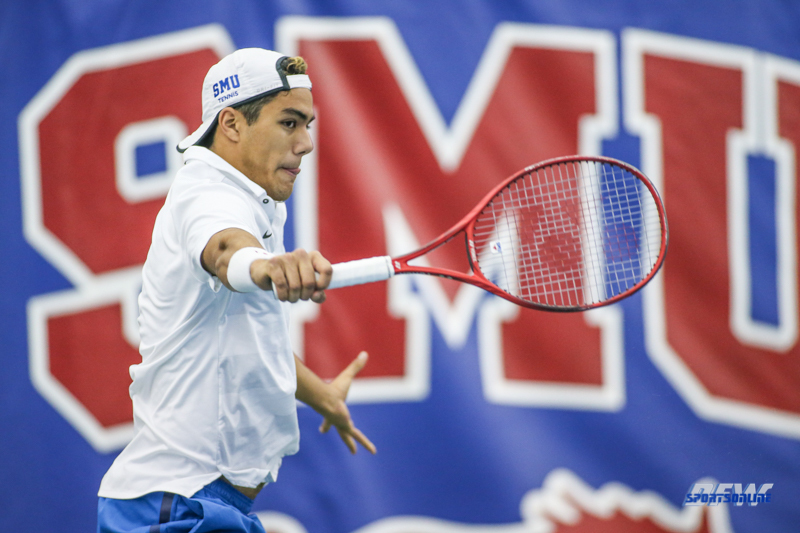 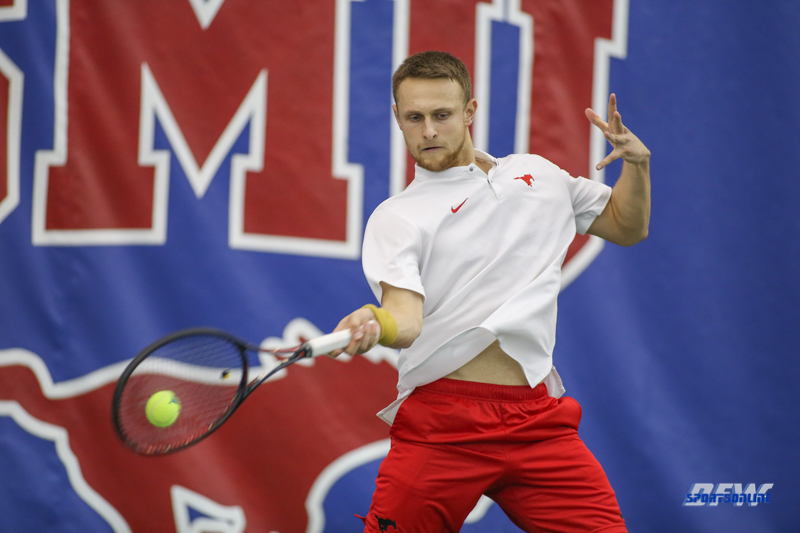 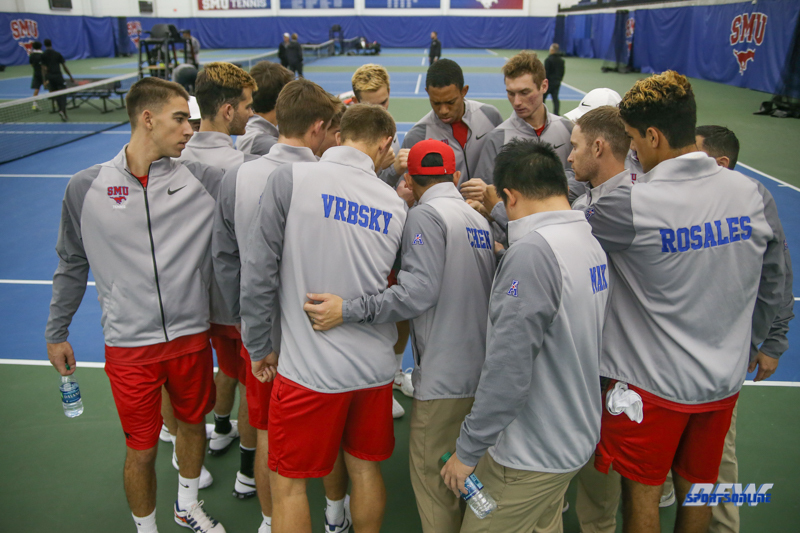 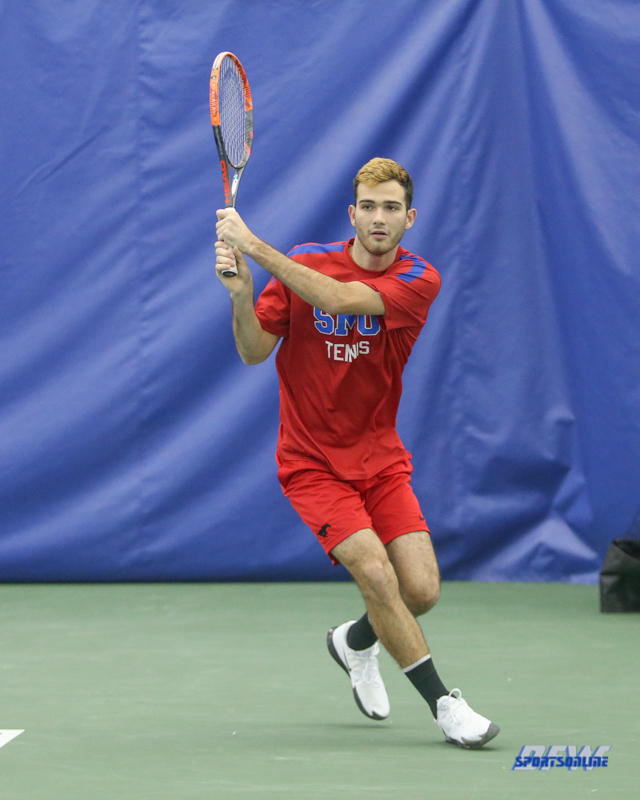 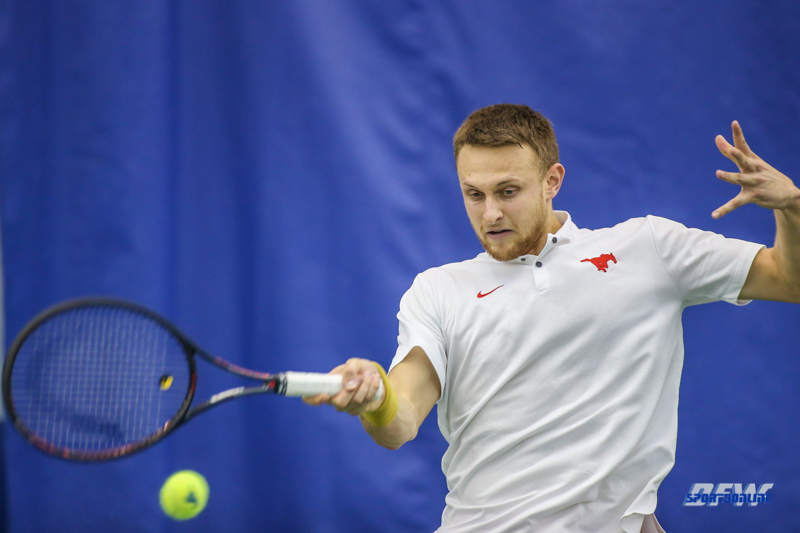 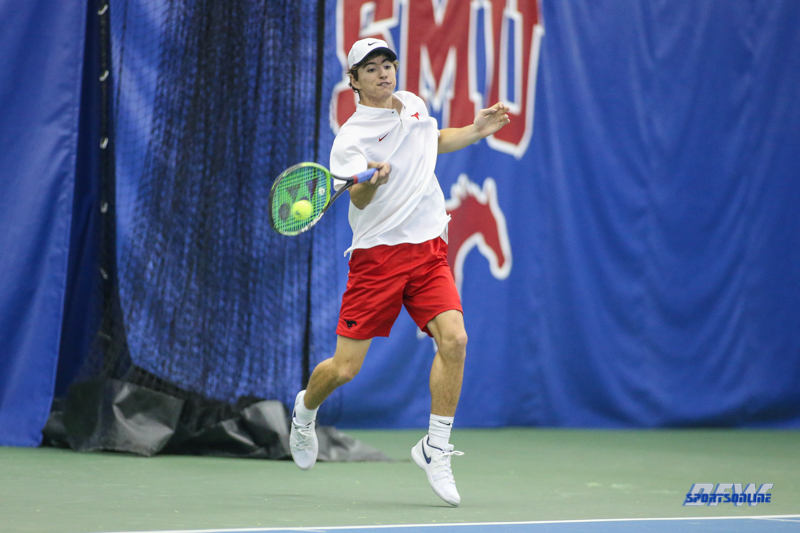 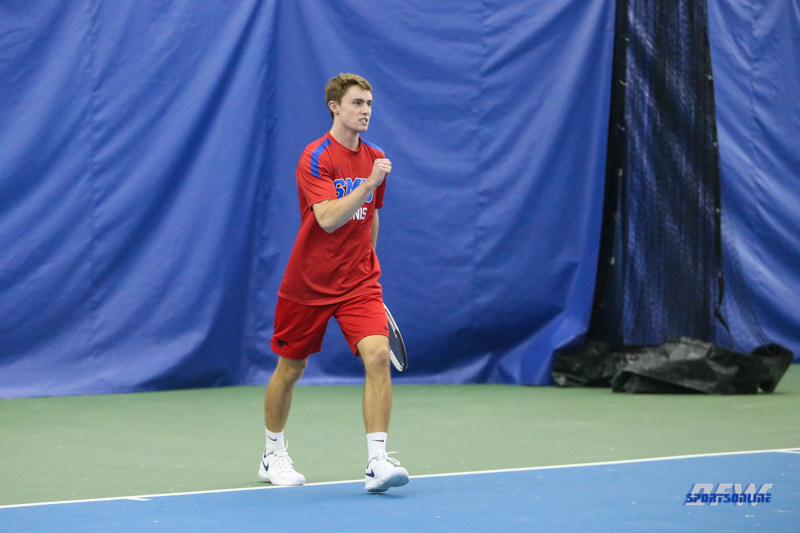 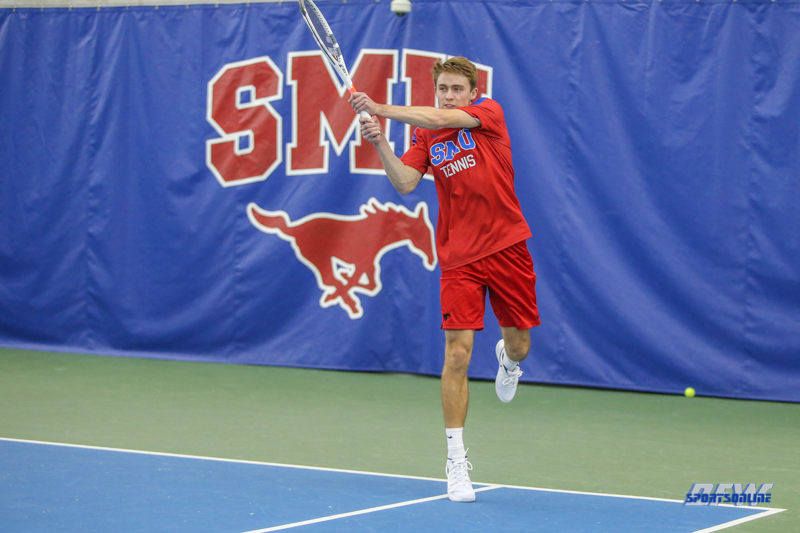 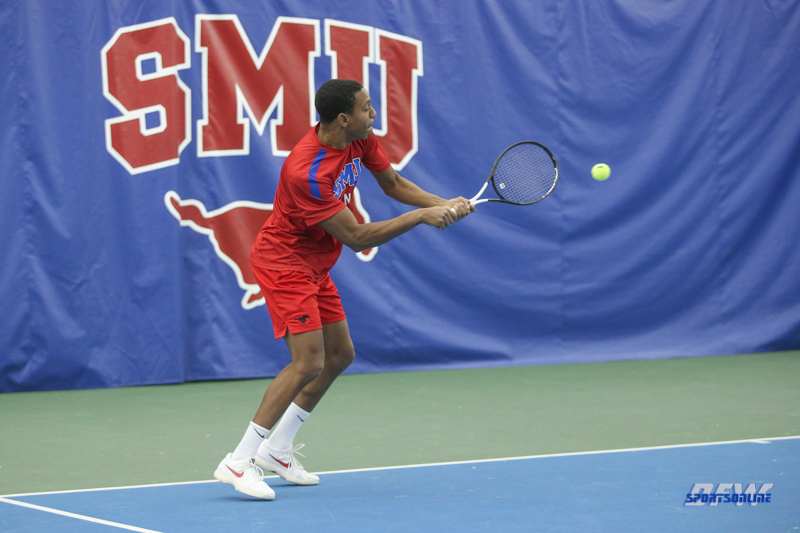 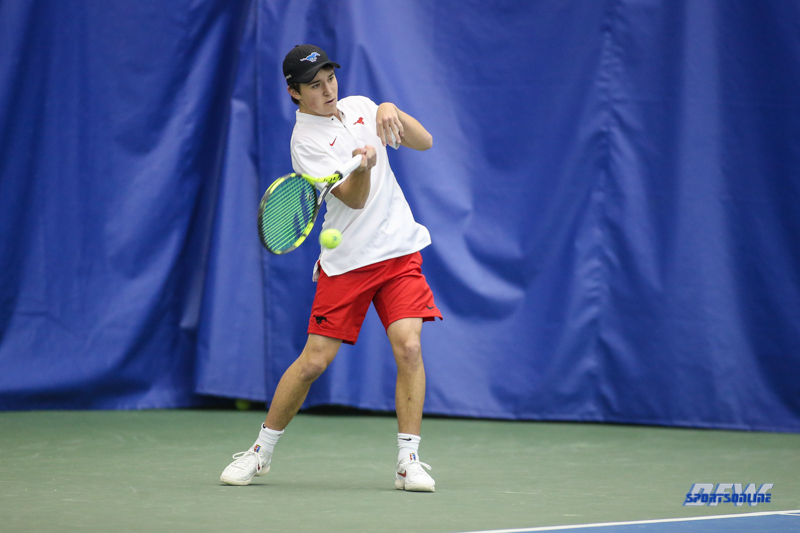 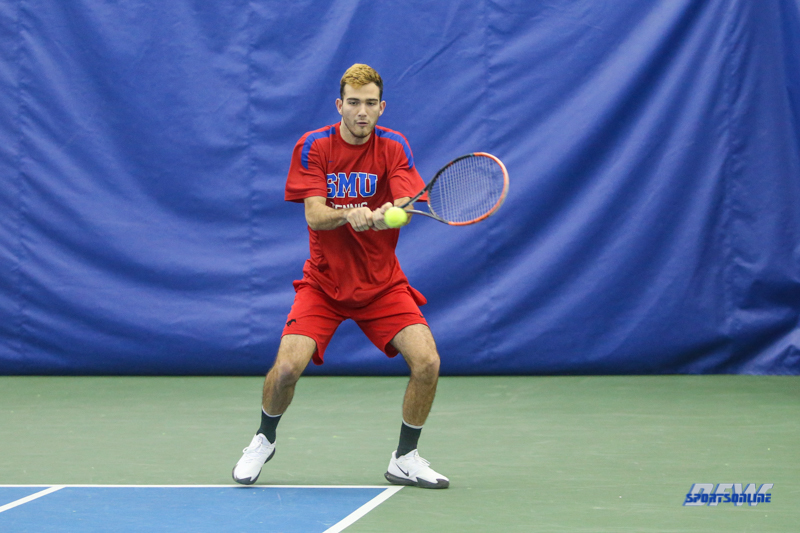 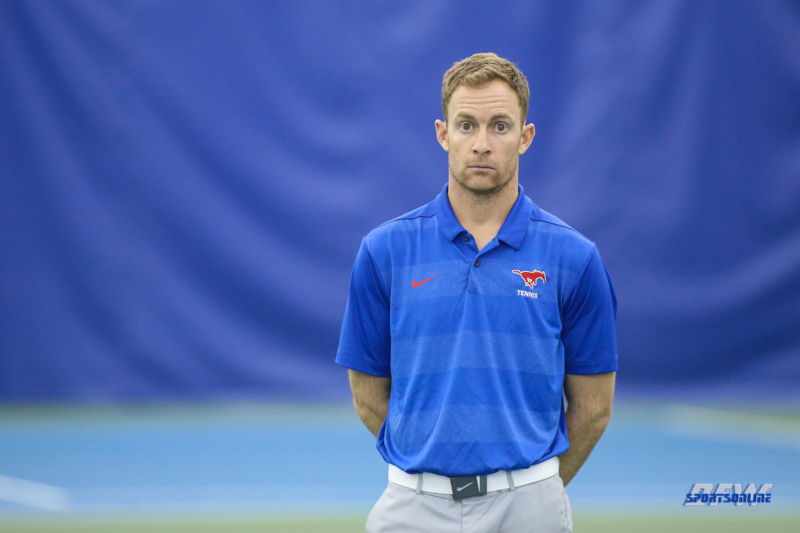 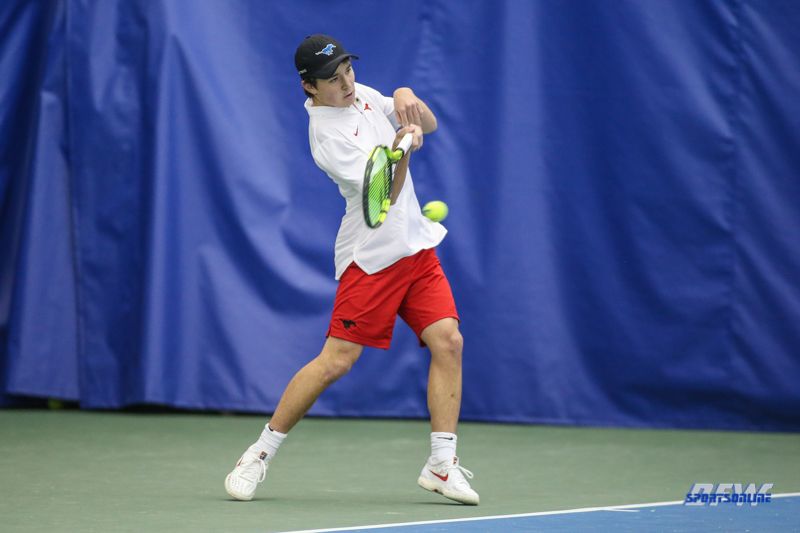 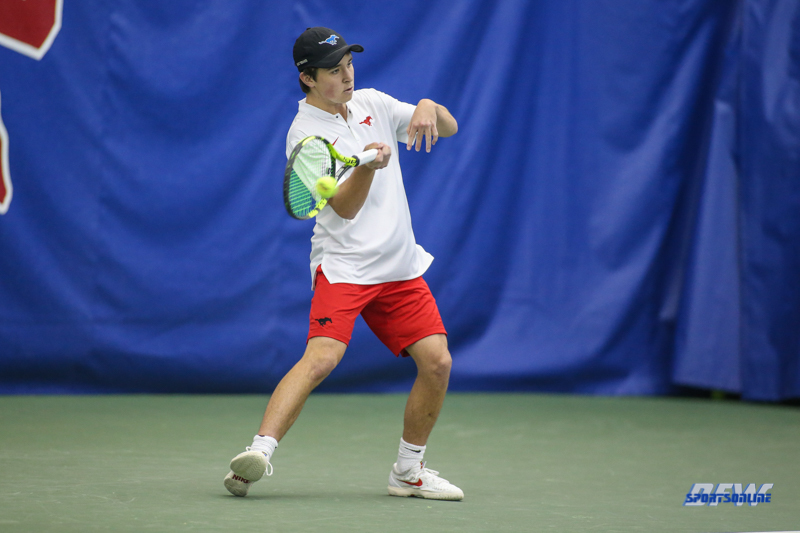 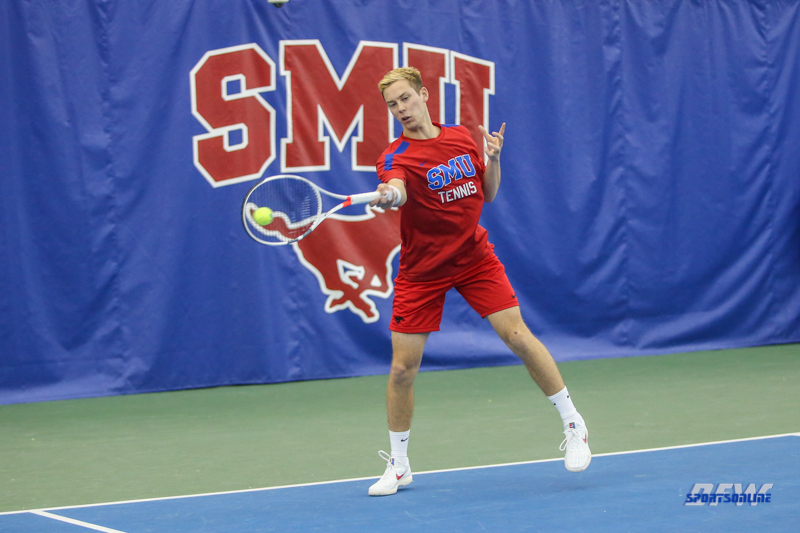 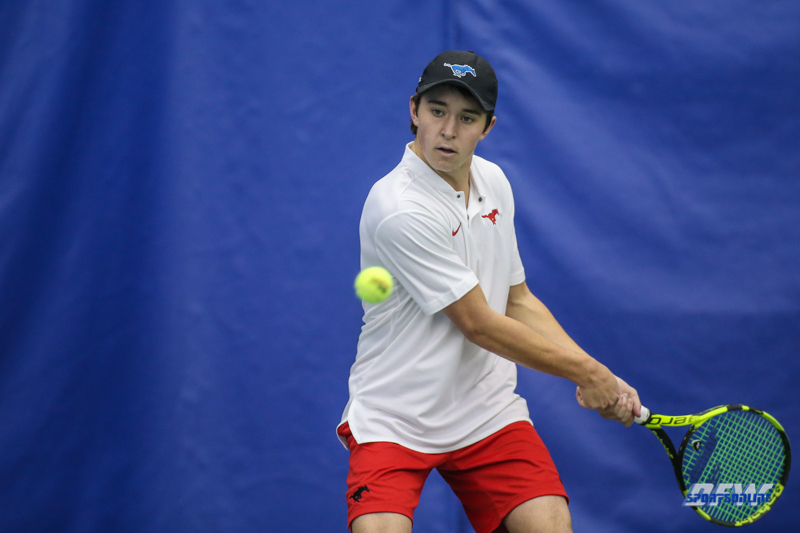 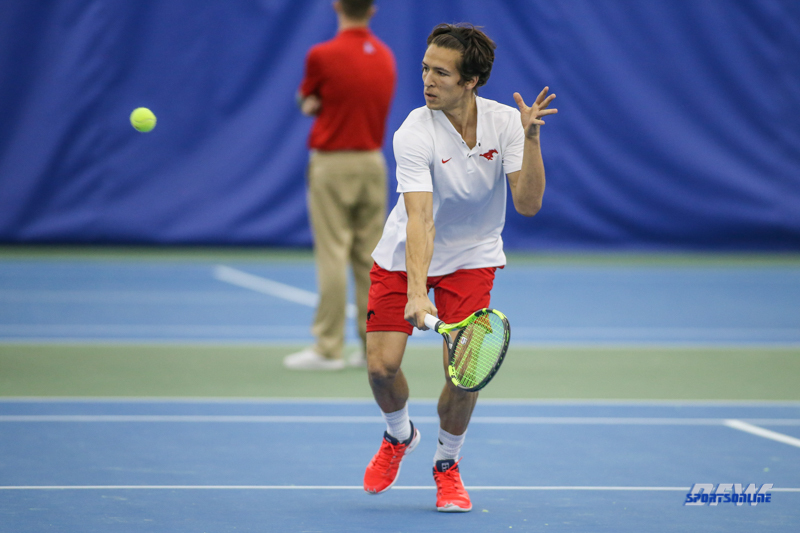 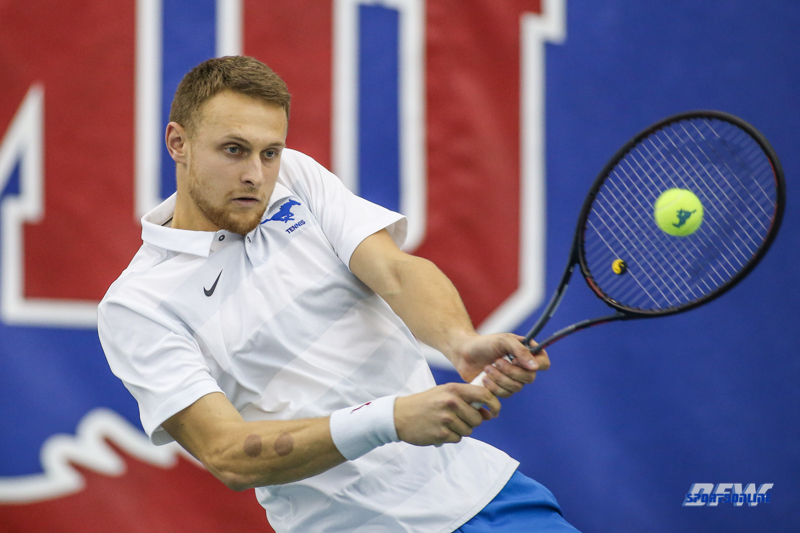 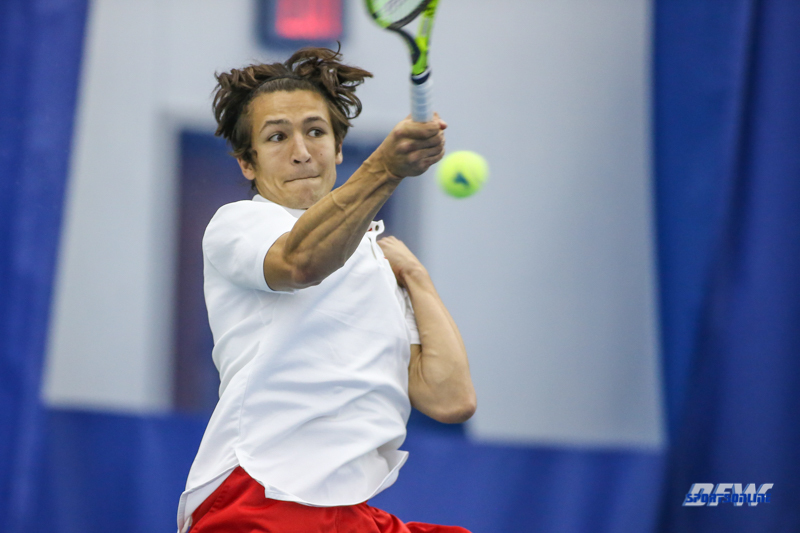 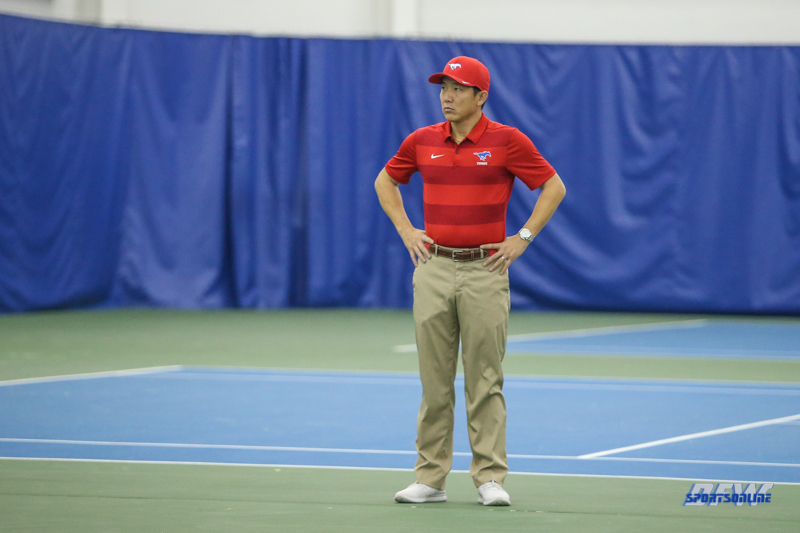 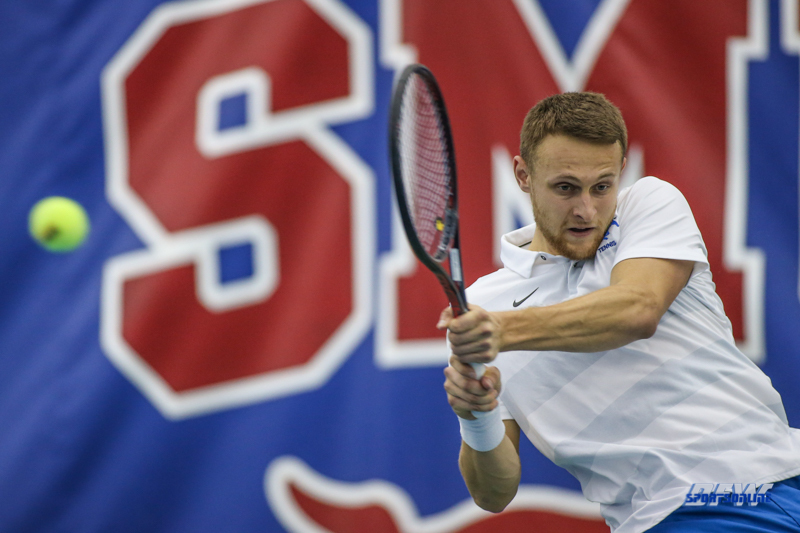 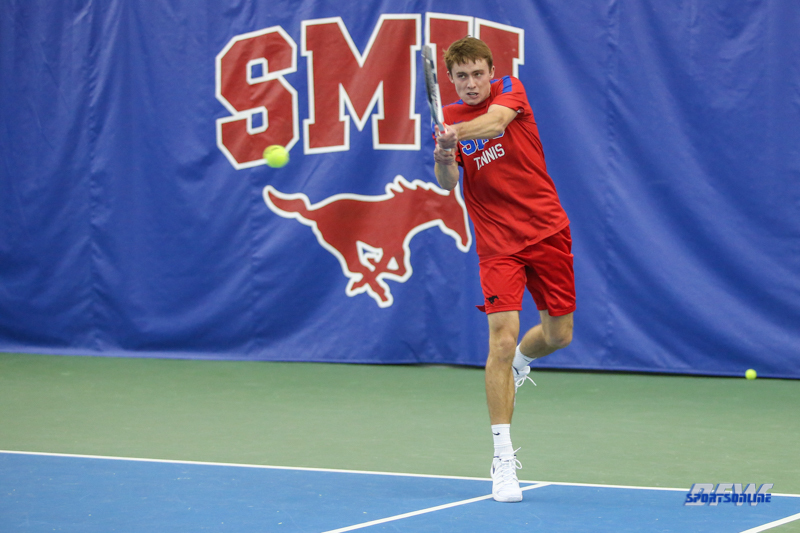 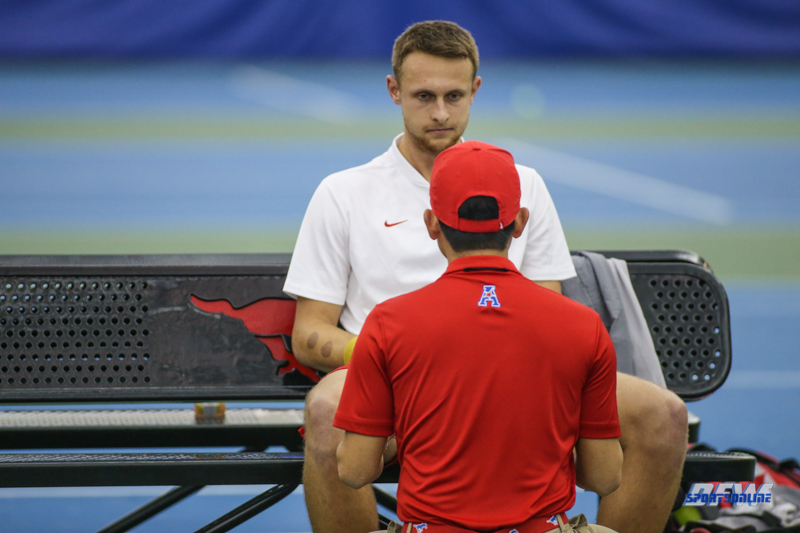 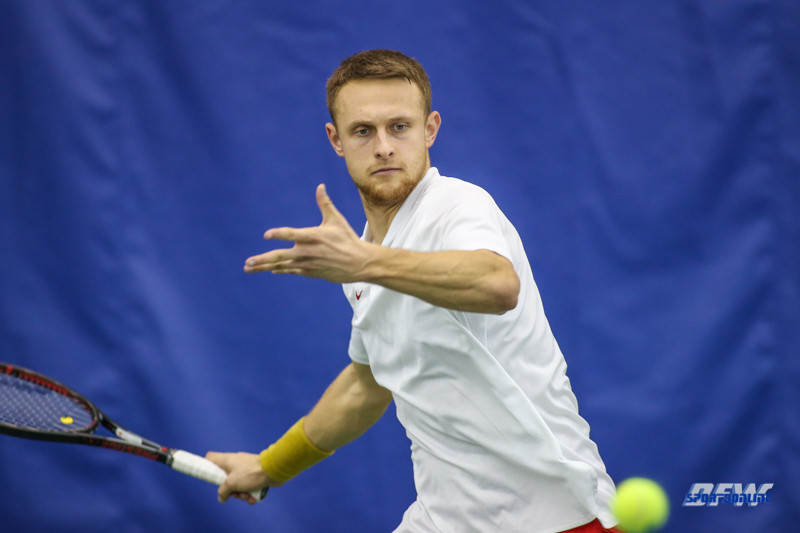 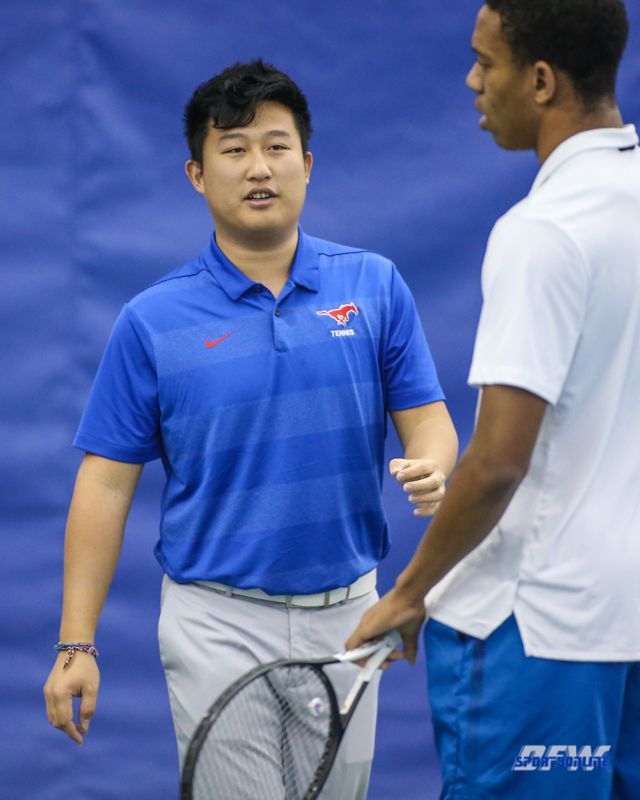 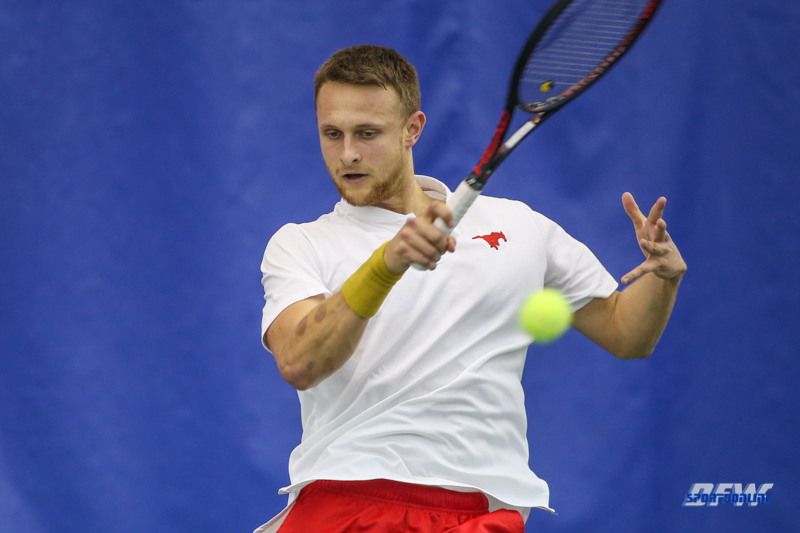 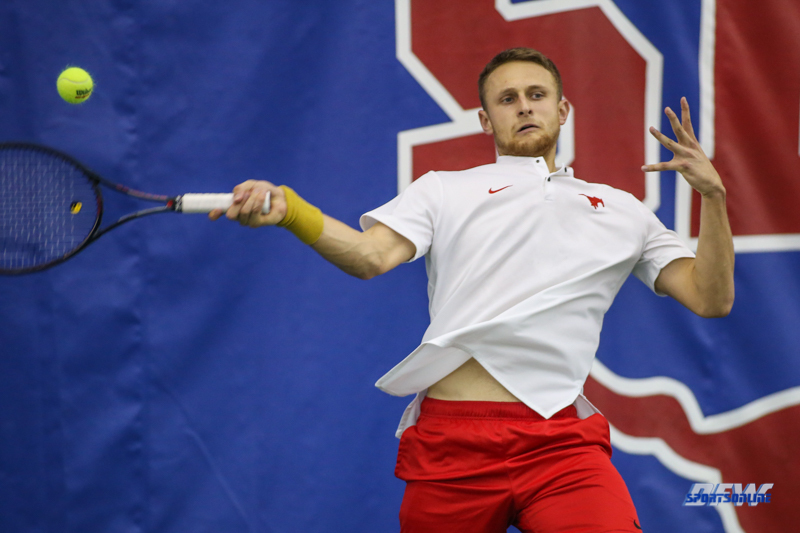 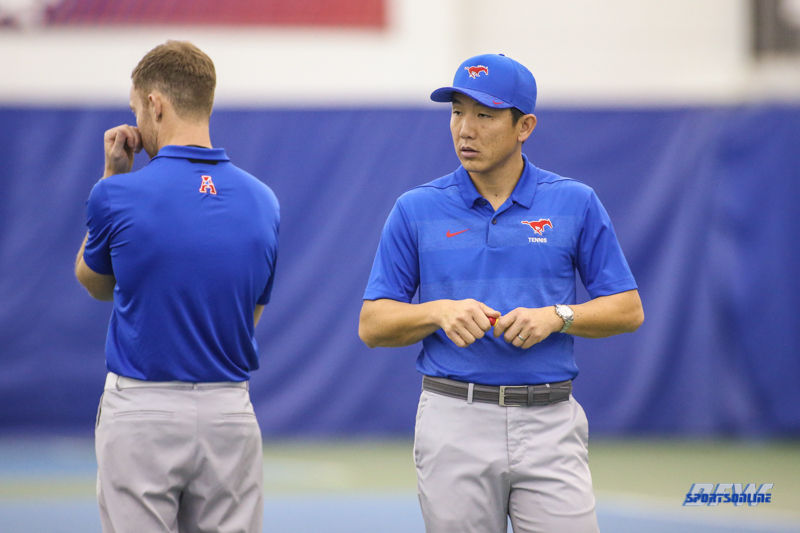 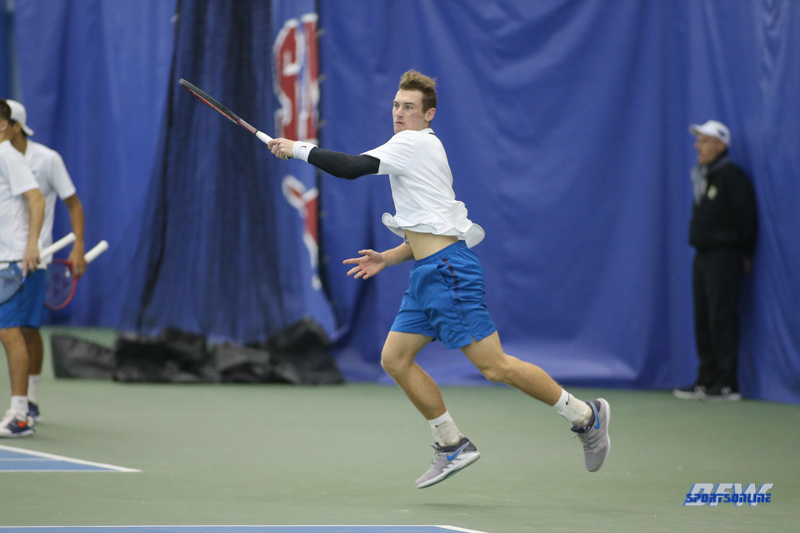 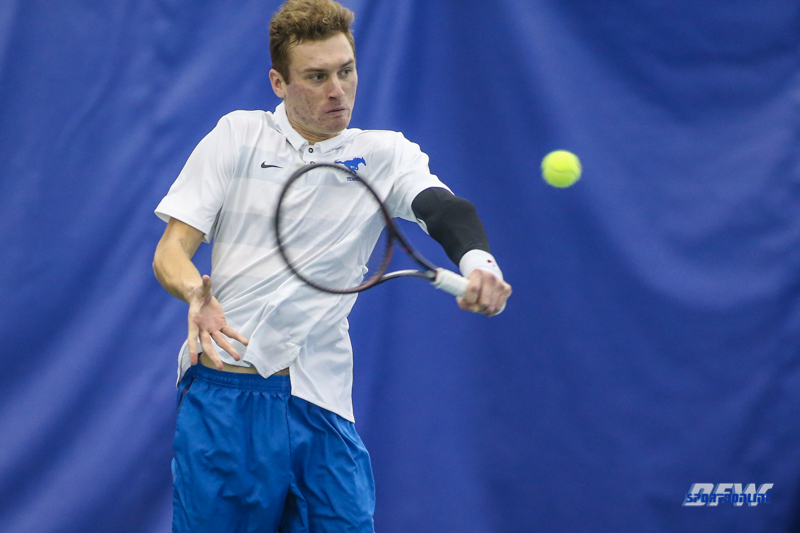 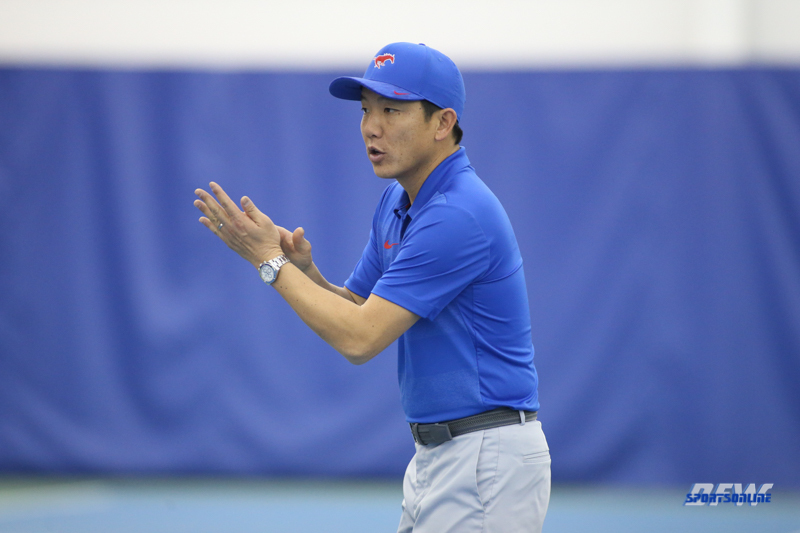 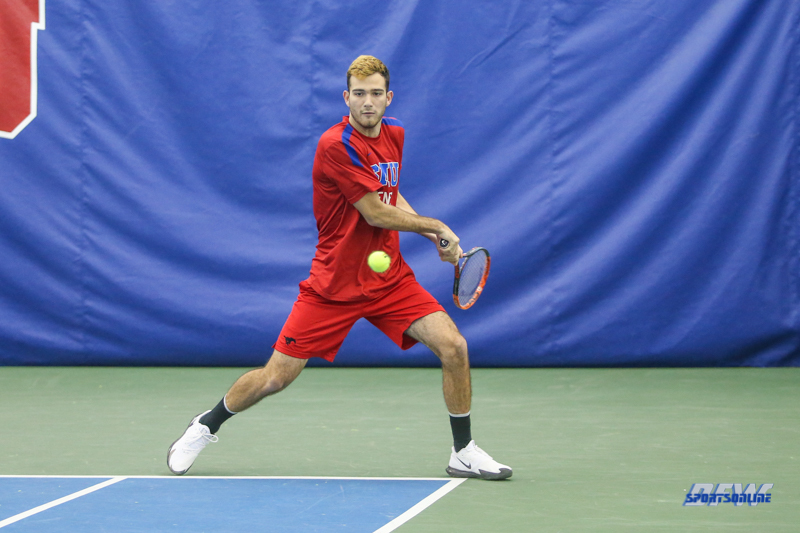 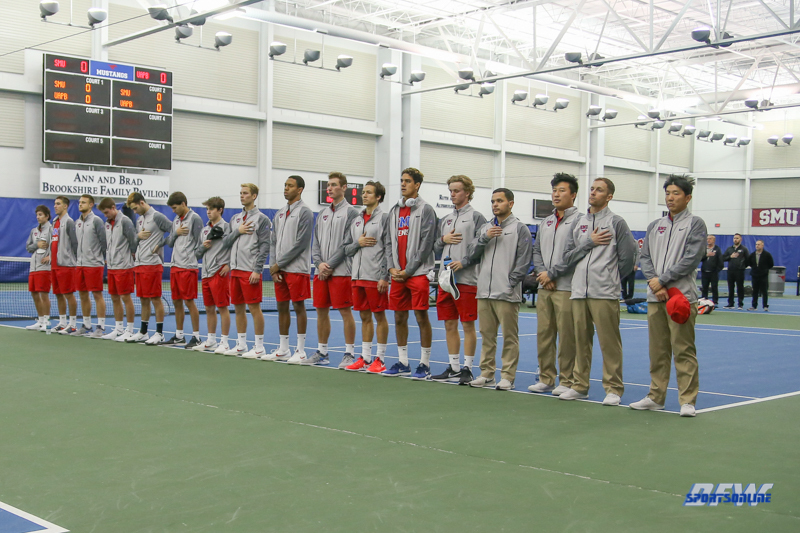 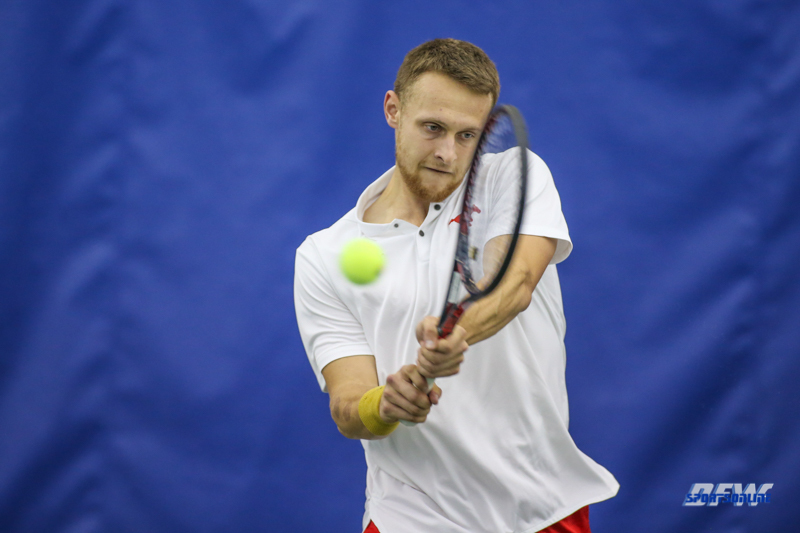 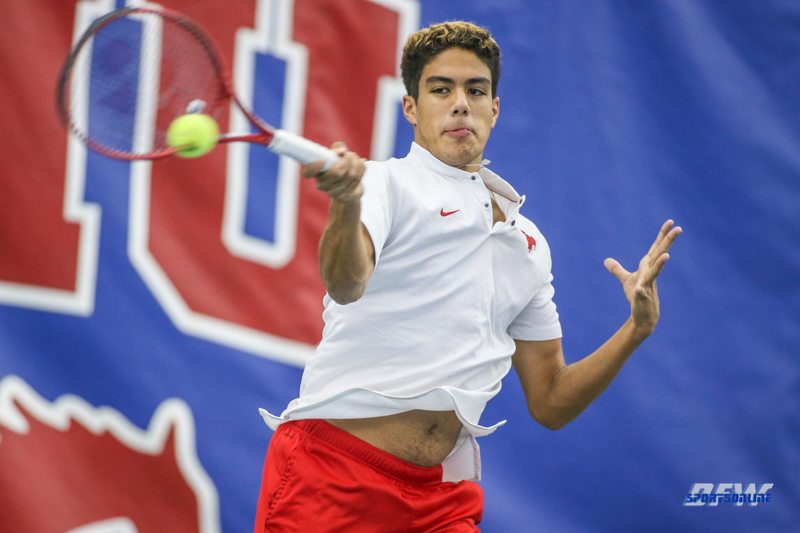 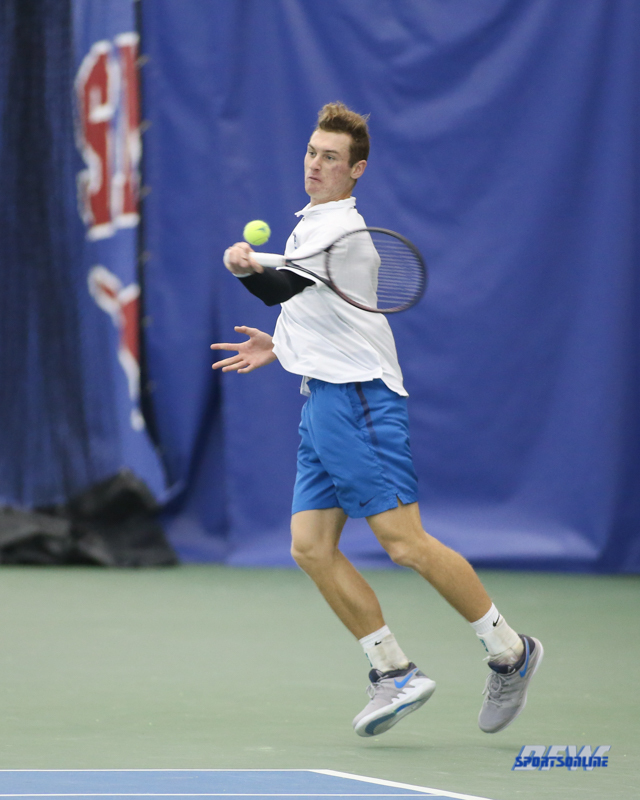 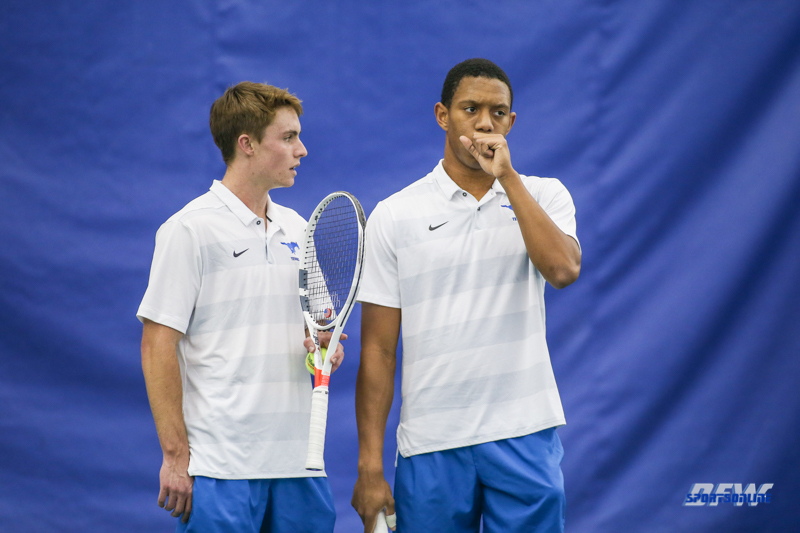 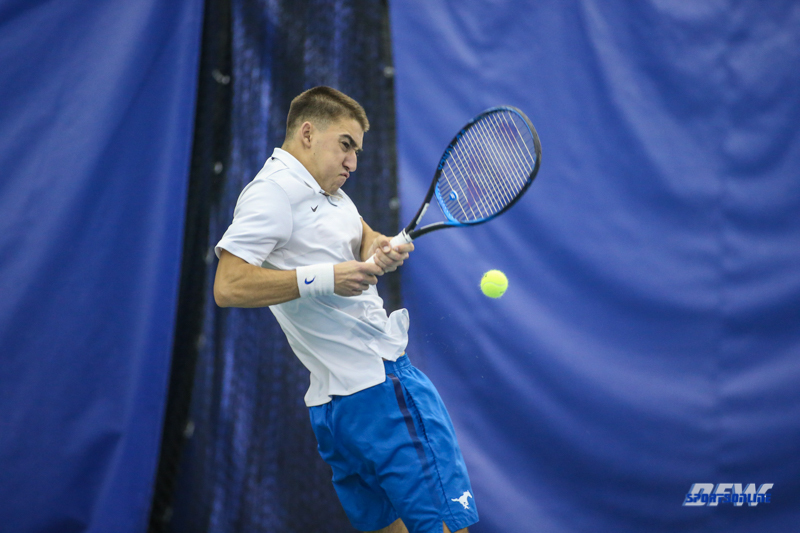 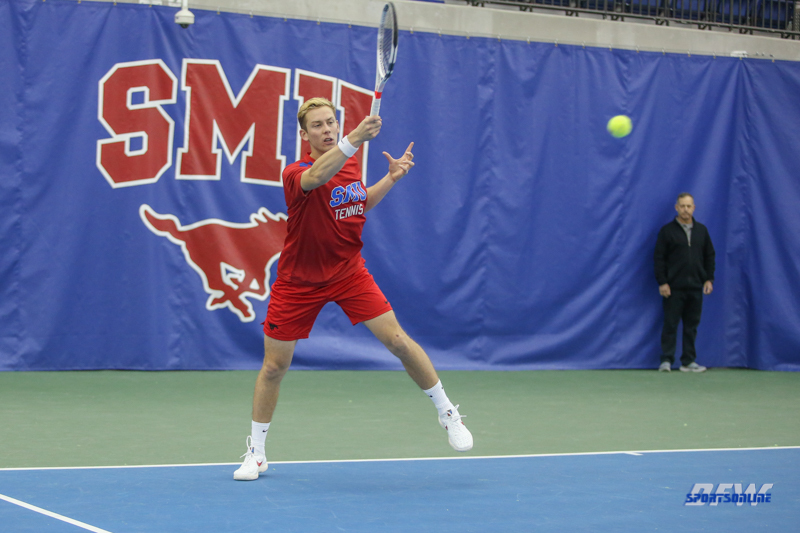 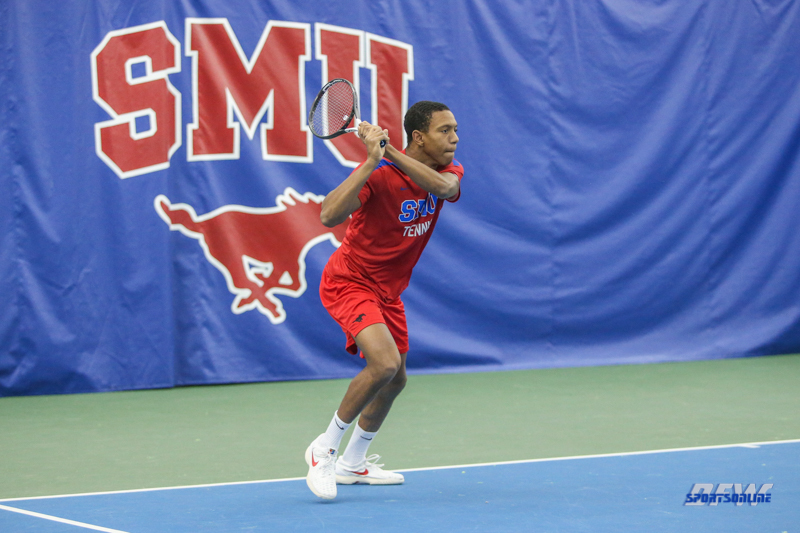 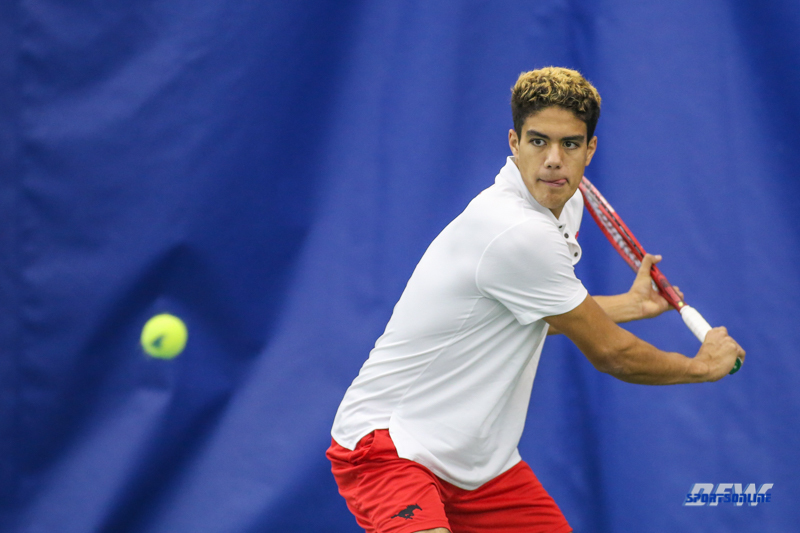 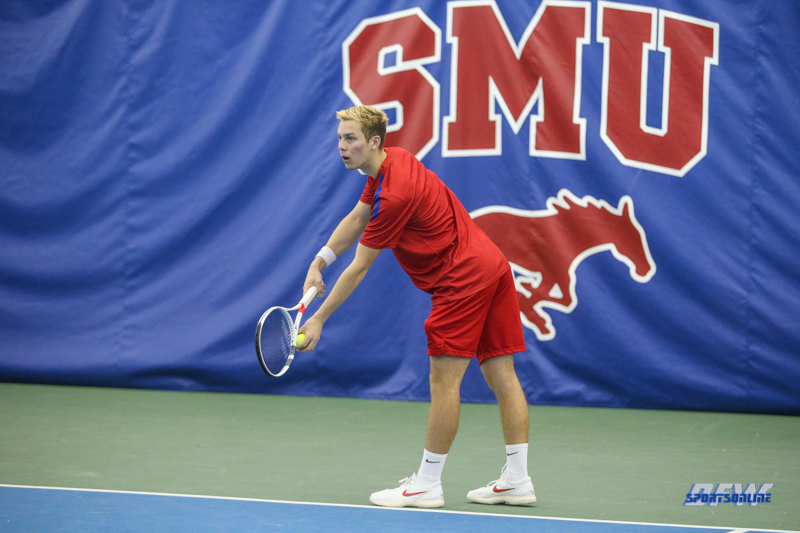 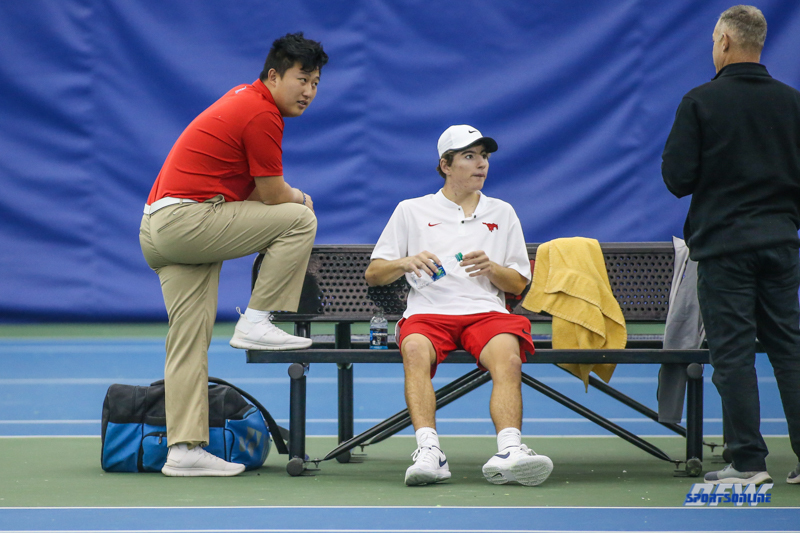 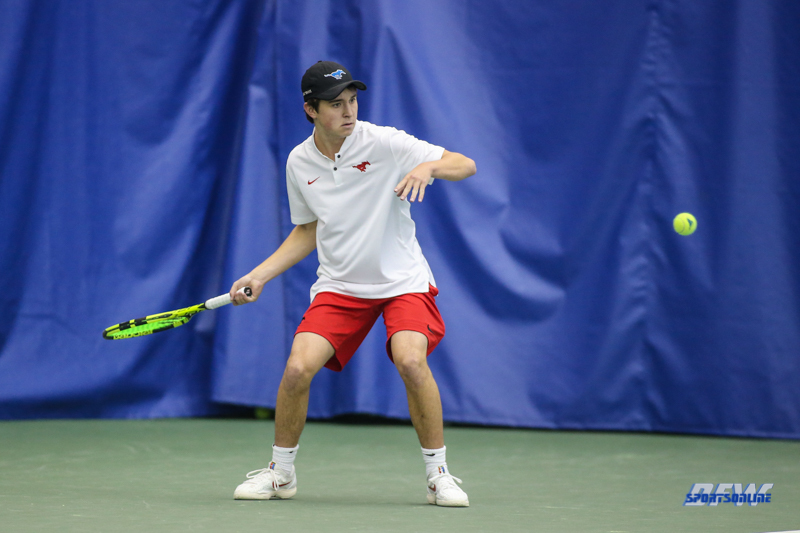 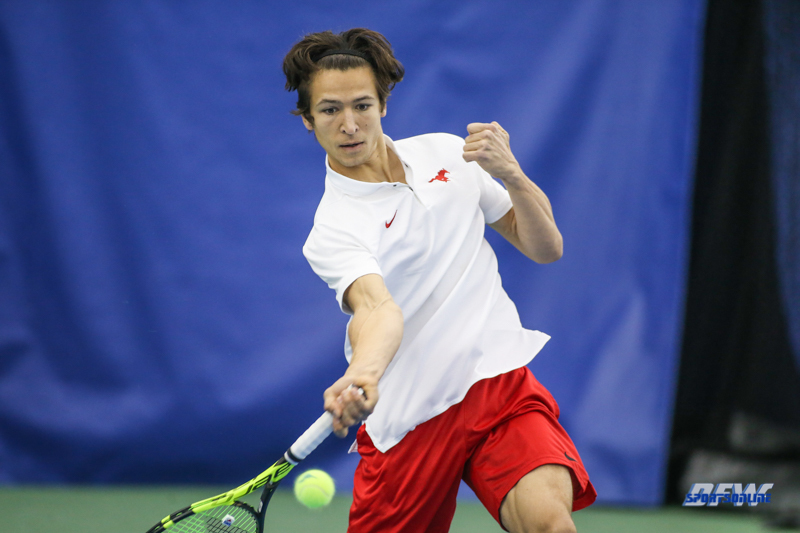 SMU’s record now stands at 7-3 on the season including 7-1 at the SMU Tennis Complex. 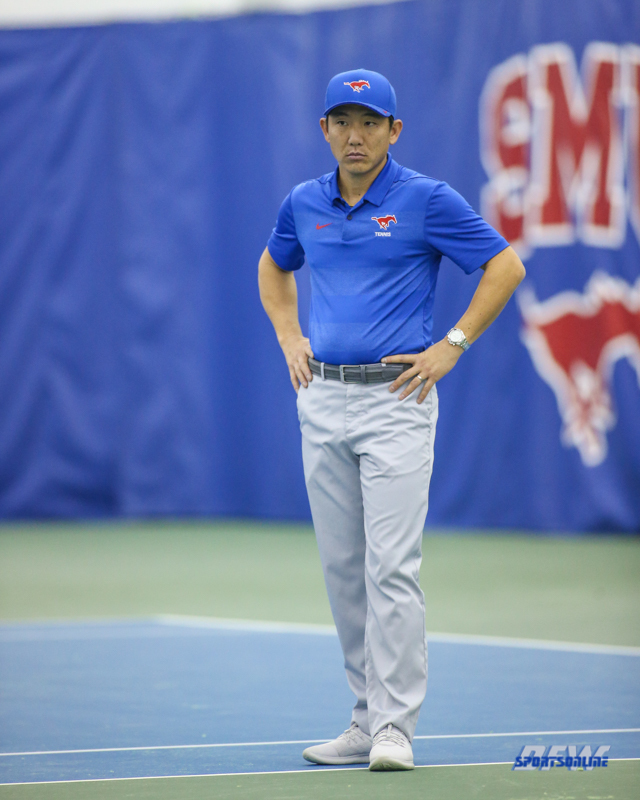 The aforementioned matchup with LSU is slated for 5 p.m. on Friday. 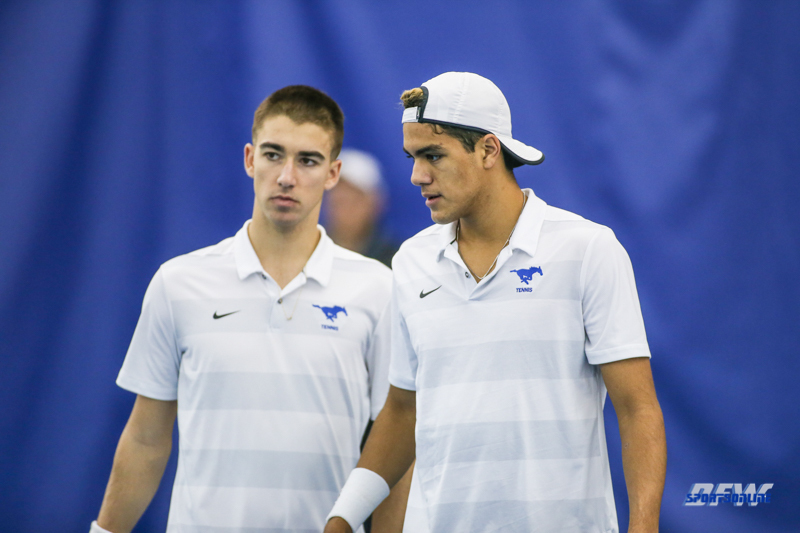 The Tigers will roll into Dallas with a 7-1 record with their only blemish coming against Penn State.